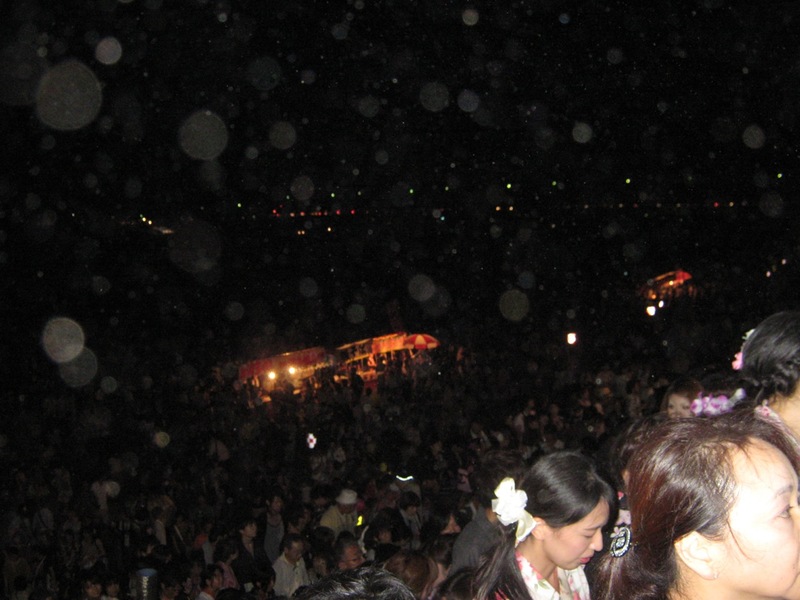 Summer is the season for 花火大会, or fireworks displays. 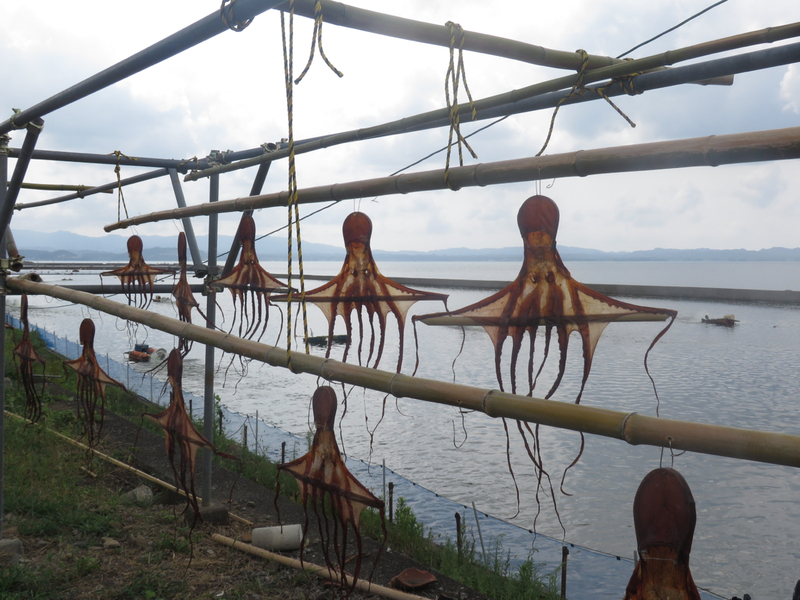 On Kyushu, the biggest one is in Kurume City on the banks of the Chikugo River. I hadn’t been to this one in 2 years. I went with a neighbor and a recently arrived ALT. It was this past Sunday (August 5th). I was trying to take pictures but my timing wasn’t very good. At least the video of the finale turned out alright. The finale of the 353rd annual Chikugo River Fireworks show, the most popular fireworks display on Kyushu. 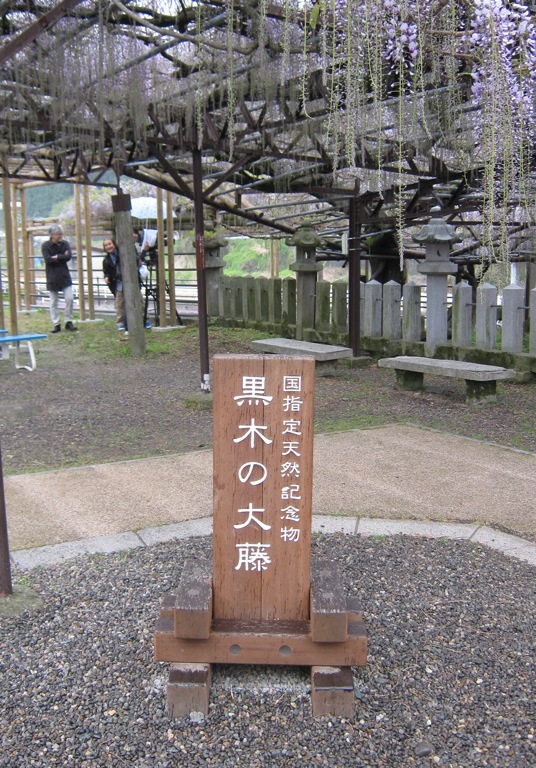 It takes place on the banks of the Chikugo River in the city of Kurume. When the woman asked “How do you say “hime-sama”?” I said “dolls” because I misheard her. I thought she had said “hina” because the company that sponsored this part of the show was a doll company. ^_^; Well, the dolls represent princesses. And so you get a sense of the scale of the crowd, here’s a shot of the crowd taken as we were leaving. This is just a small fraction of the whole crowd. A sea of people! I even ran into a graduate of my former school here! Or rather, he found me. It was the second time I’d ran into him in the last few weeks! 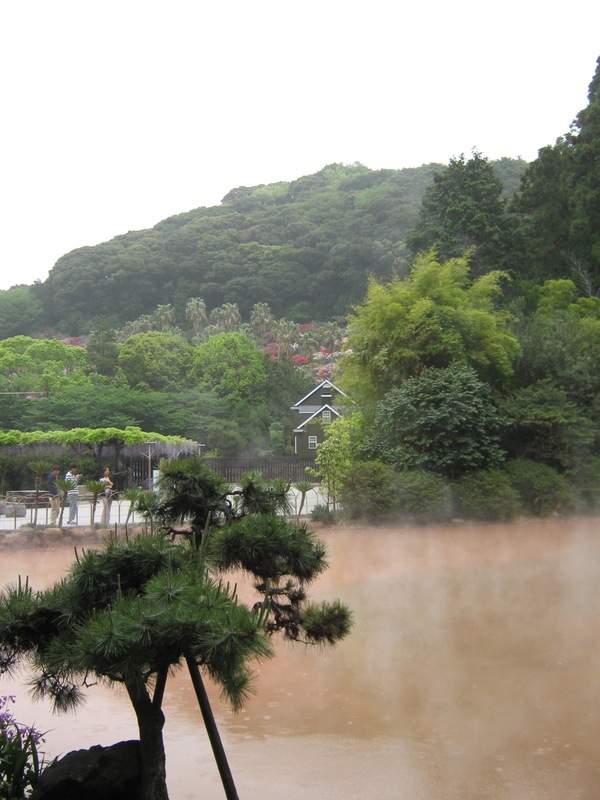 Besides hanging out with over-sized greenery, part of my Golden Week was spent relaxing in onsen (hot springs) in Beppu, Ooita Prefecture, which is famous for its many onsen. Now, my friends and I hadn’t planned this trip in advance. Even if we had, if we traveled during the actual consecutive national holidays, we would have been price-gouged mercilessly. 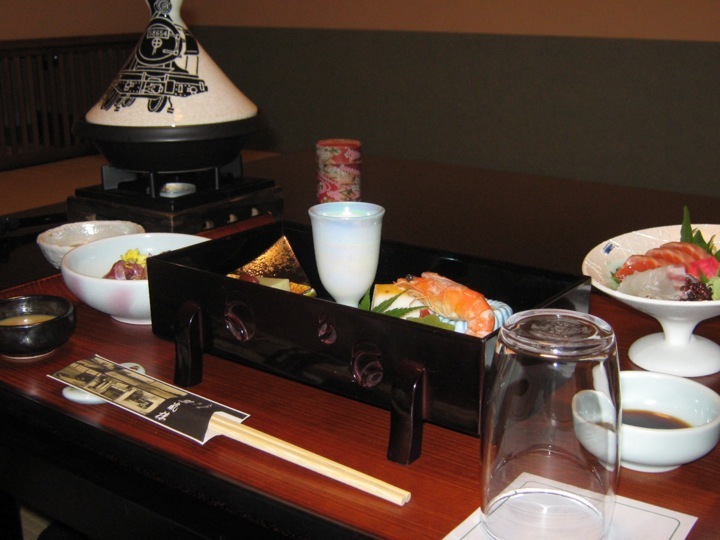 The cost of a one night stay can easily go up by one or two hundred US dollars during these days! So, to keep costs down, we decided to leave on the night of Monday, the second, even though my two friends had work that day. 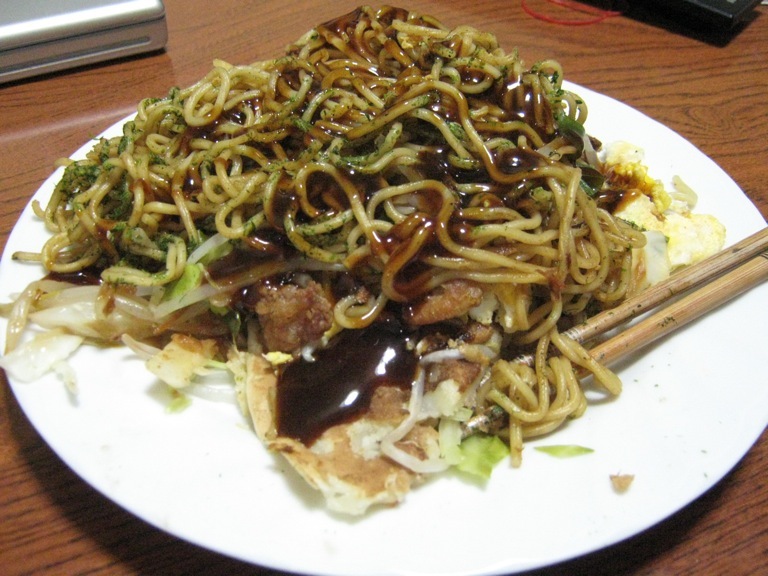 We had to buy dinner at a conbini because we wouldn’t make it in time to eat at the hotel. 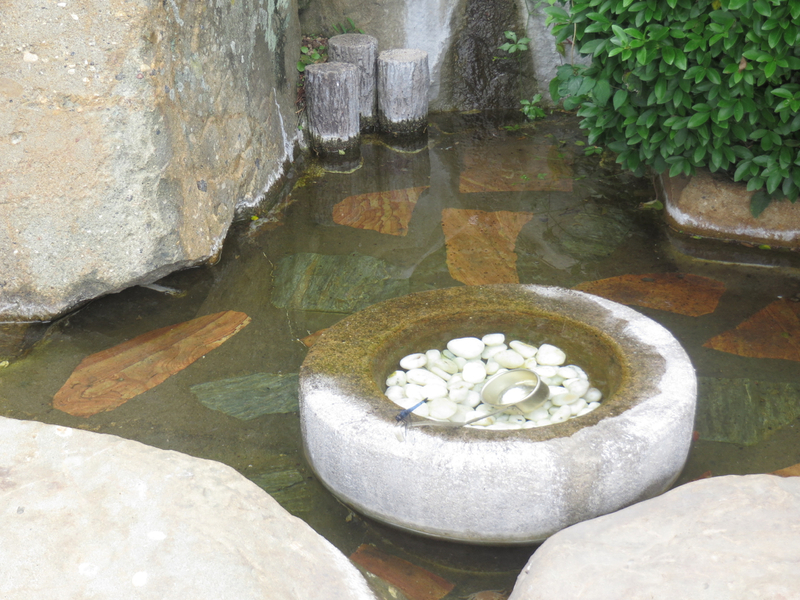 The hotel was one of JR’s own accommodations, Beppusou, about a 5 minute walk from Beppu Station. 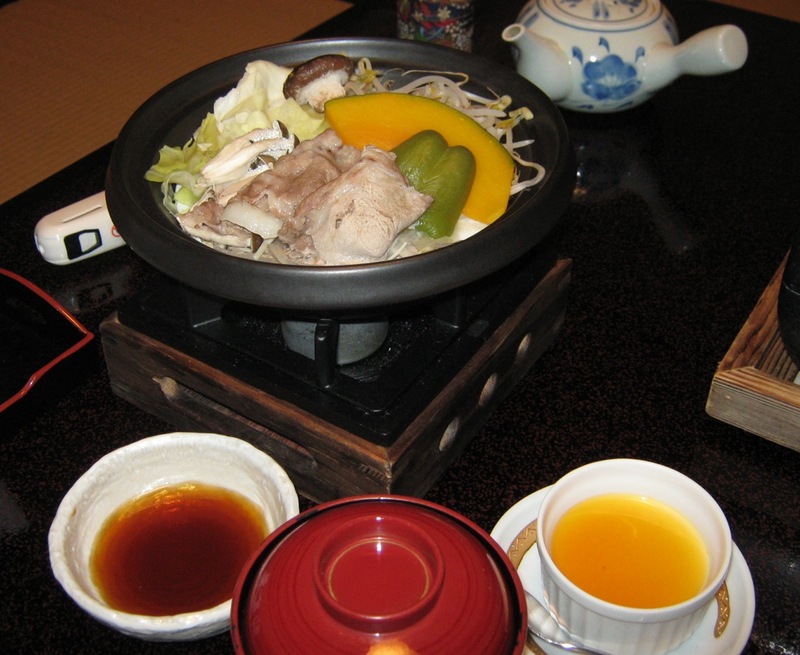 We arrived at the hotel, chilled for an hour or so, eating our “dinners,” then went to the onsen. 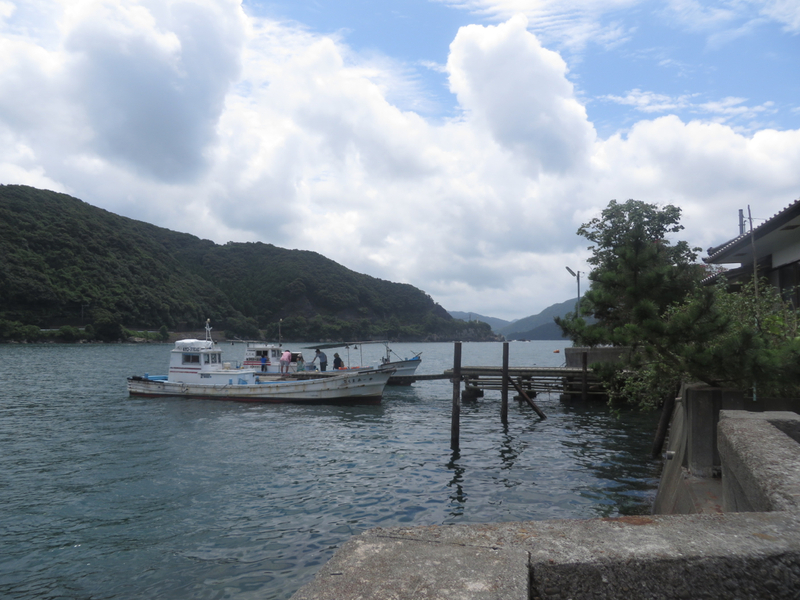 We mostly just stayed in the rotenburou, but there were no stars in the sky. Even so, it was very relaxing. Luckily, there were no other people in it, as by then it was 11PM. After an hour of soaking and chatting, we went back up to our room for ice cream and more yakking. We ended up staying up until 2 or 3AM! But we had to get up early for breakfast the next day. 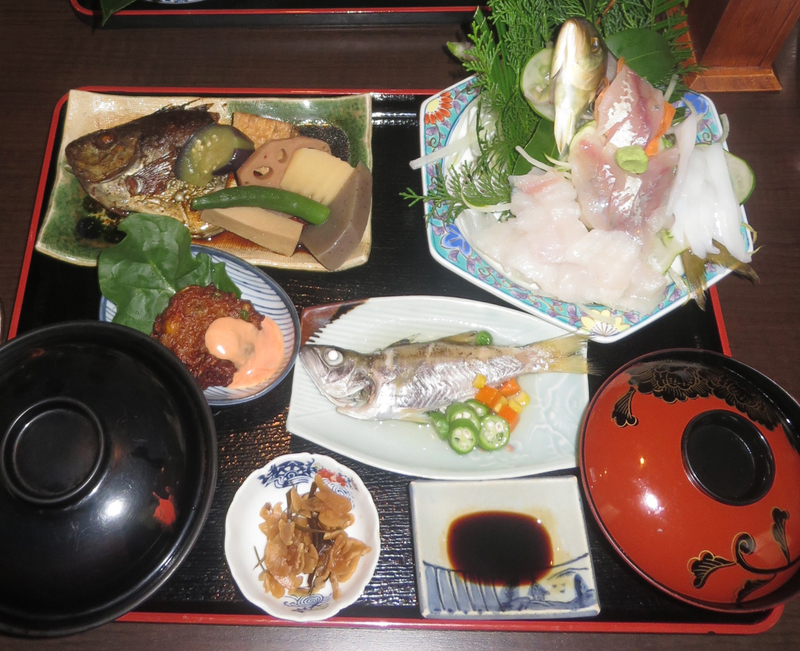 The hotel breakfast was a traditional Japanese one, with fish, eggs, miso soup, rice, tsukemono (pickled vegetables), and nattou. The whole set seemed rather small, so I fought the sensation of eating watery boogers and consumed even the nattou. (I don’t mind the smell so much as the texture. So slippery…ugh.) Thankfully all the protein items filled me up. Given the price of just about 13,000 yen (161 USD at the moment) per person for round-trip train fare & hotel accommodation, I think we got a good deal. The hotel itself was pretty average; if we had paid more I might be disappointed. 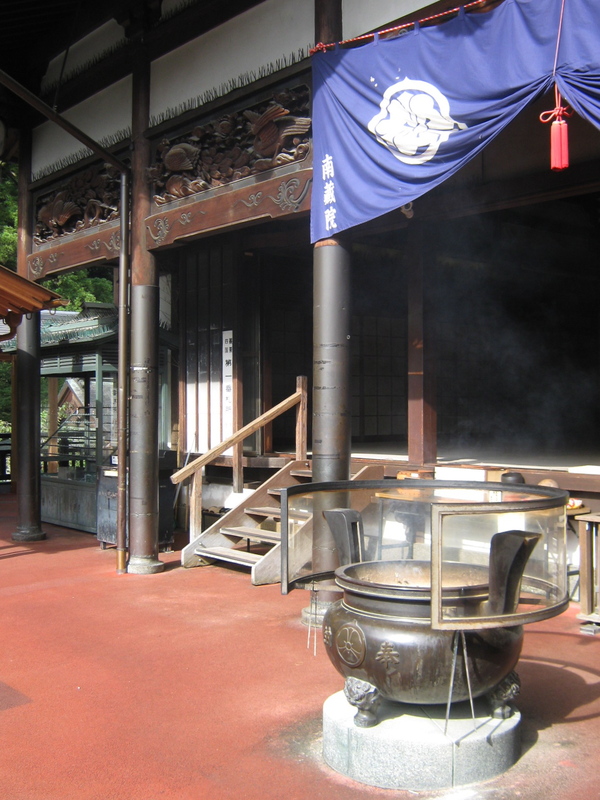 I had wanted to go back in the onsen after breakfast, but alas, it was being cleaned. I wonder if something happened, as I had been told that it opened at 5AM and was available till 1AM. Too sleepy to go back to bed, I just chatted with the friend who was awake and packed slowly. 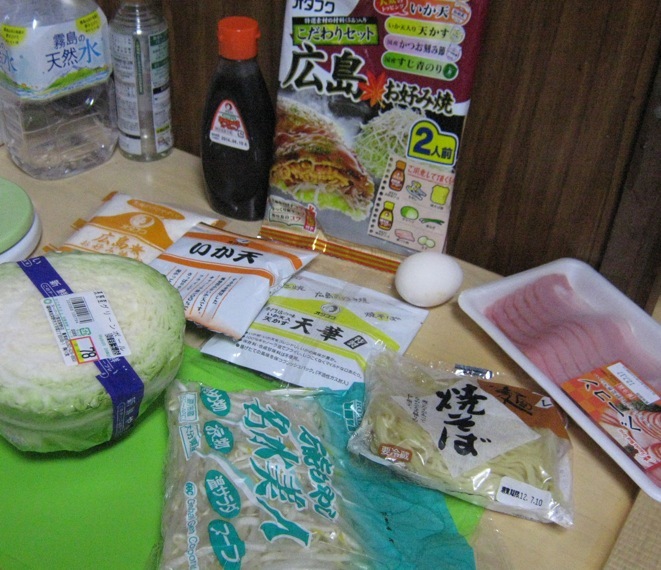 Then we went down to buy omiyage and check out. 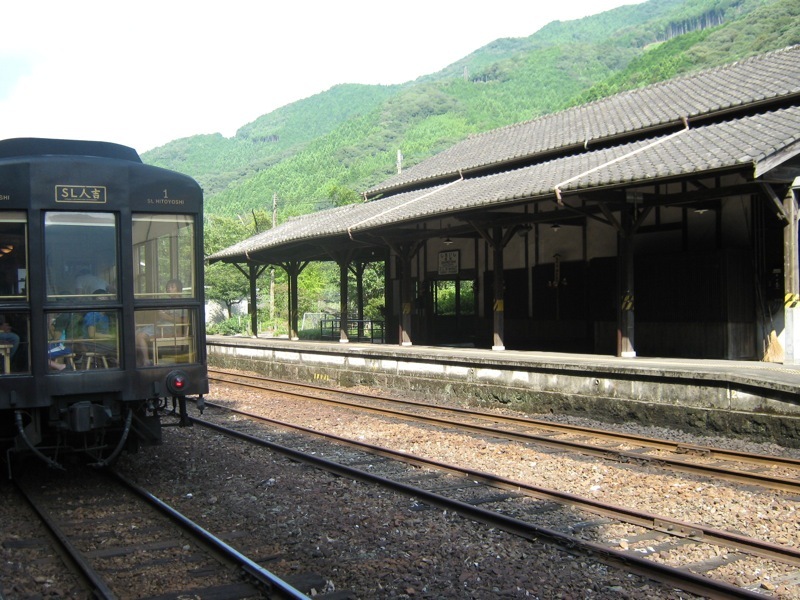 Our train back was at around 2PM, so we didn’t have much time. 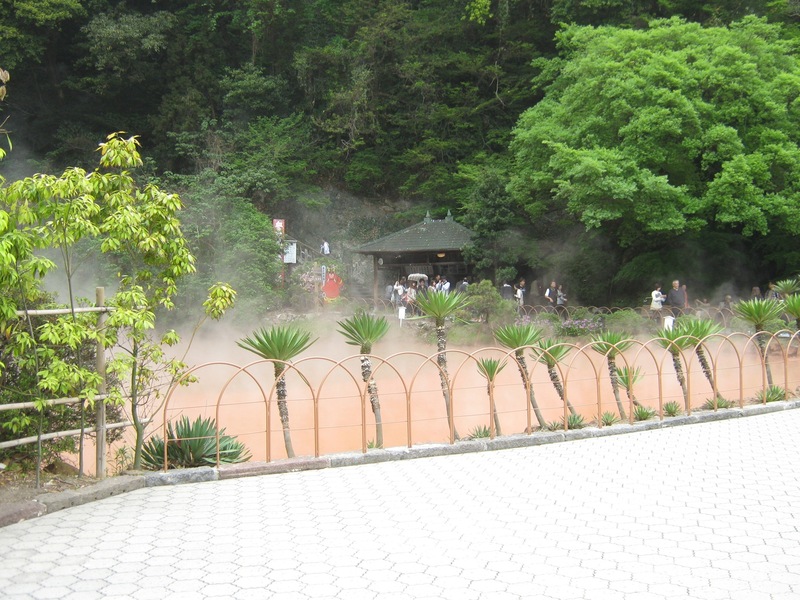 We wanted to see the 地獄温泉 (jigoku onsen – hell hot springs), which are onsen that are too hot to go into, and also have interesting features. The tour bus that hit all the spots took 2.5 hours, time we didn’t have. 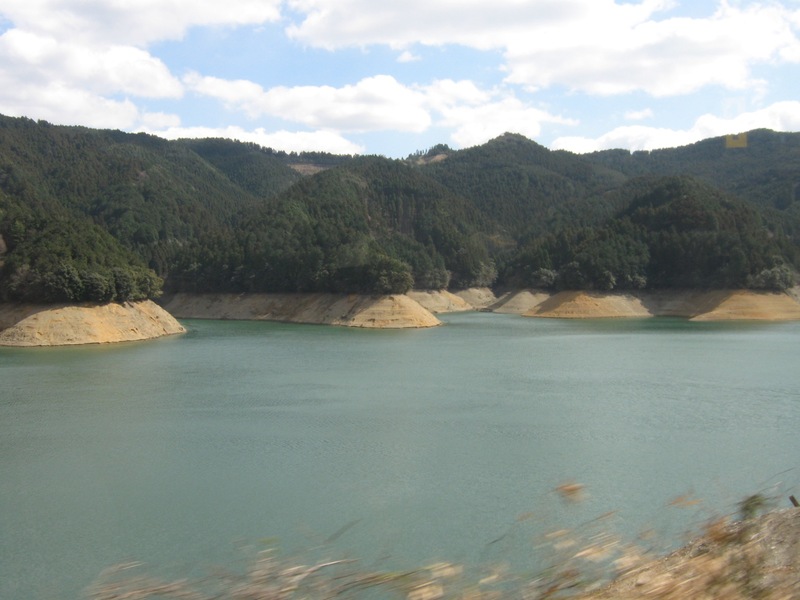 So we chose to just see one: 血の池地獄 (chi no ike jigoku – Lake of Blood Hell). It wasn’t as red as it appears in official photos, but my photos do make it look slightly browner than it seemed in person. It was drizzling by this time, and the sky was hazy due to the dust storms from China, so I do wonder if it looks redder with no rain and direct sunshine. Maybe Lake of Terra Cotta Hell is a more appropriate name. I like how the little building back there has ogre horns. 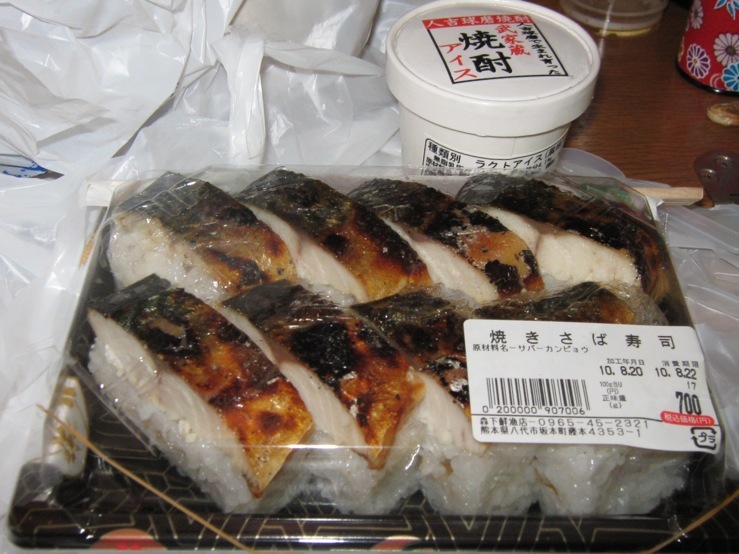 ^o^ They sell omiyage there, such as clay from the Lake of Blood. 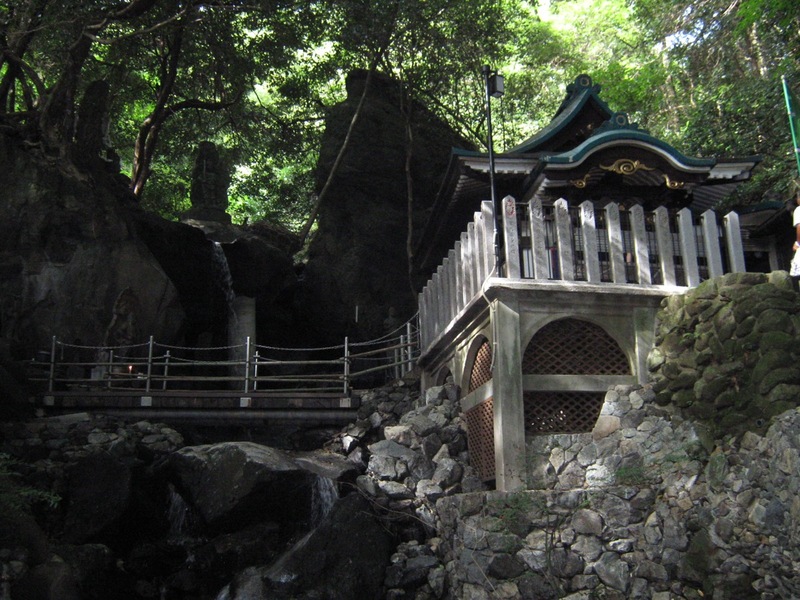 温泉の足湯 (onsen no ashiyu - hot spring footbath). 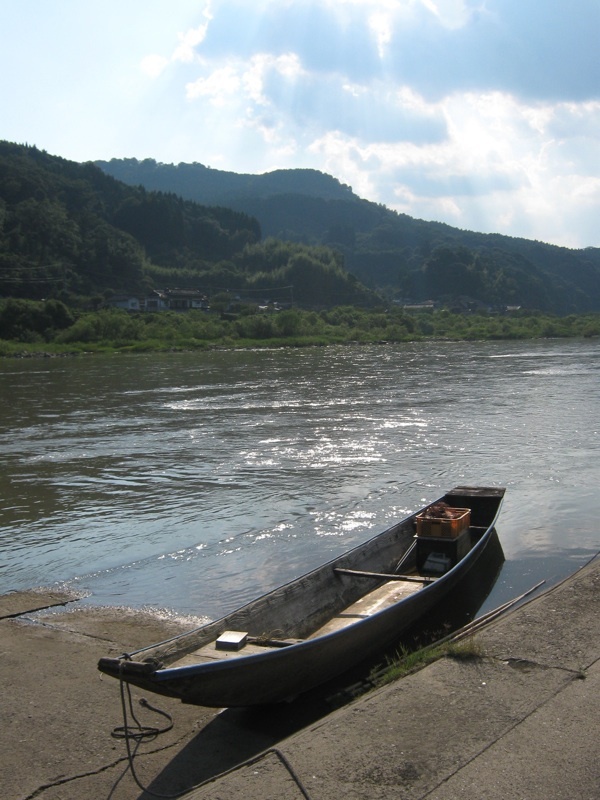 I just today learned the term 足湯 when I showed these photos to one of the secretaries. This little footbath is across from the Lake of Blood. After that little soak, we got Lake of Blood-themed omiyage and headed back. We took a cab to the nearest train station (we had taken a bus there from Beppu Station because for some reason, there are hardly any local trains out of Beppu Station, it’s mostly just Sonics (AKA Limited Expresses) and Rapid Expresses, which don’t stop at Kamegawa Station, which is the nearest to Chi no Ike), and right as we were going in, the station master said to us, “Beppu? 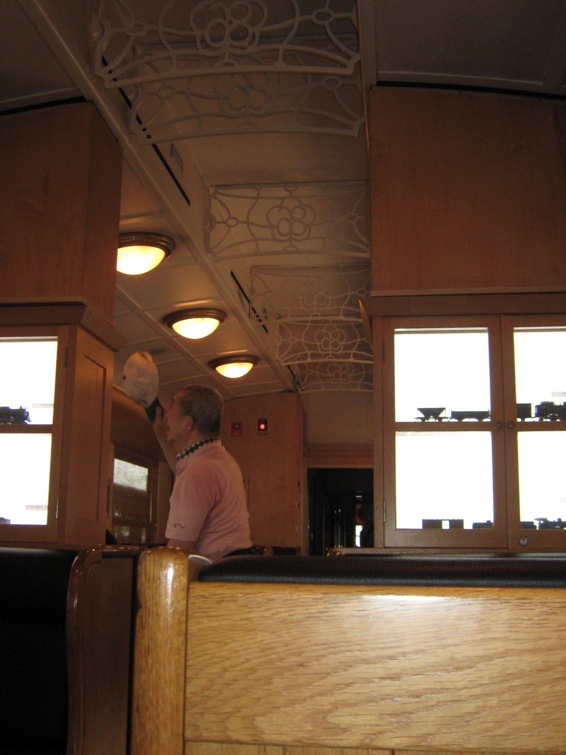 The train’s leaving right now, just run on in!” We just said “oh!” and ran down without buying tickets and even forgot to thank the guy in our frenzy. ^_^; But we sure were glad we didn’t get stuck waiting for an hour for a local train. 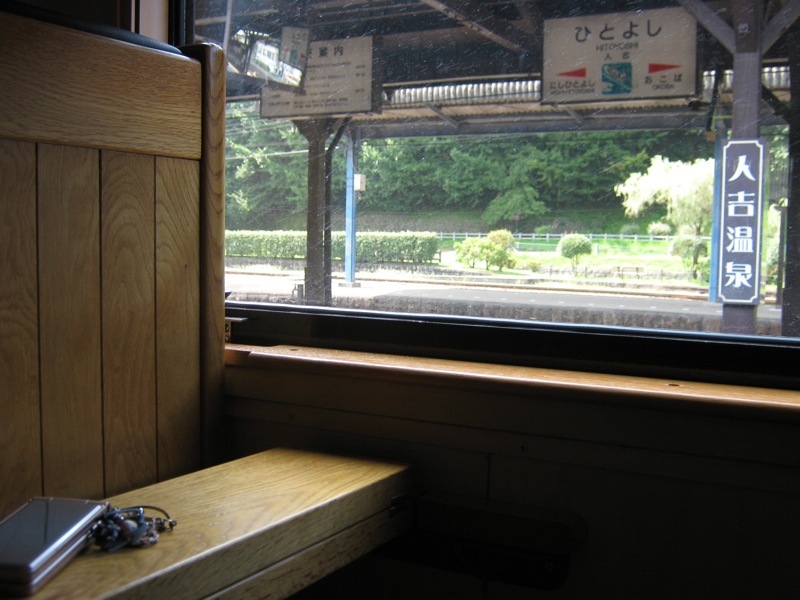 We simply paid our fare at Beppu Station. 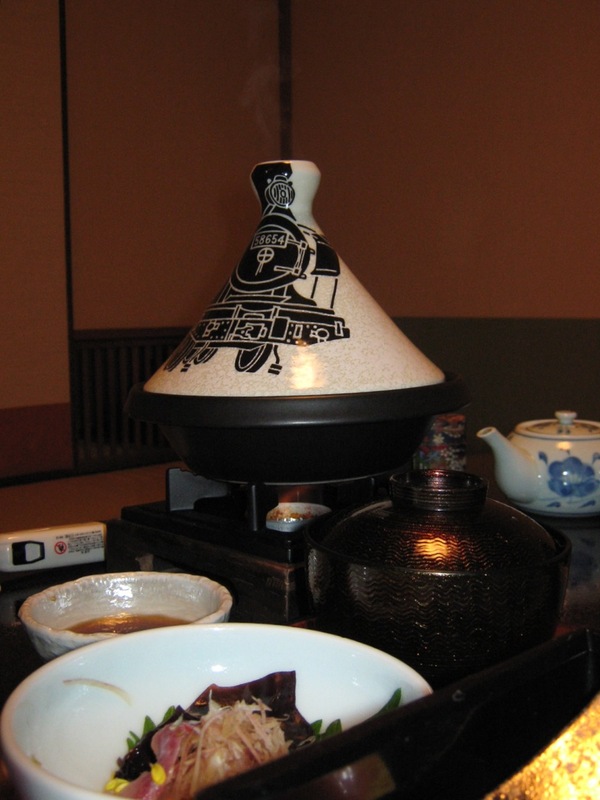 We had lunch, then it was back to the tracks to head to Hakata. A JR Kyuushuu ad in one of the cars of the Sonic. 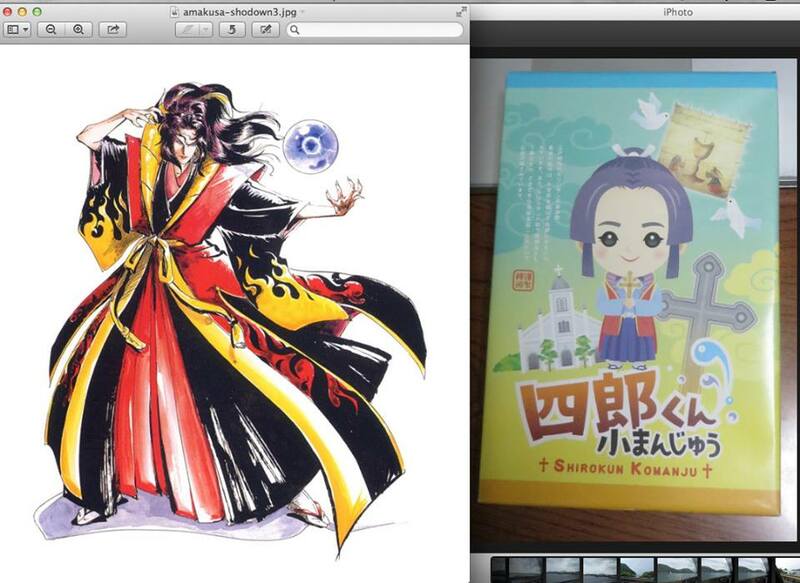 I must say, I’m really feelin’ the art direction of JR Kyuushuu’s ads lately. 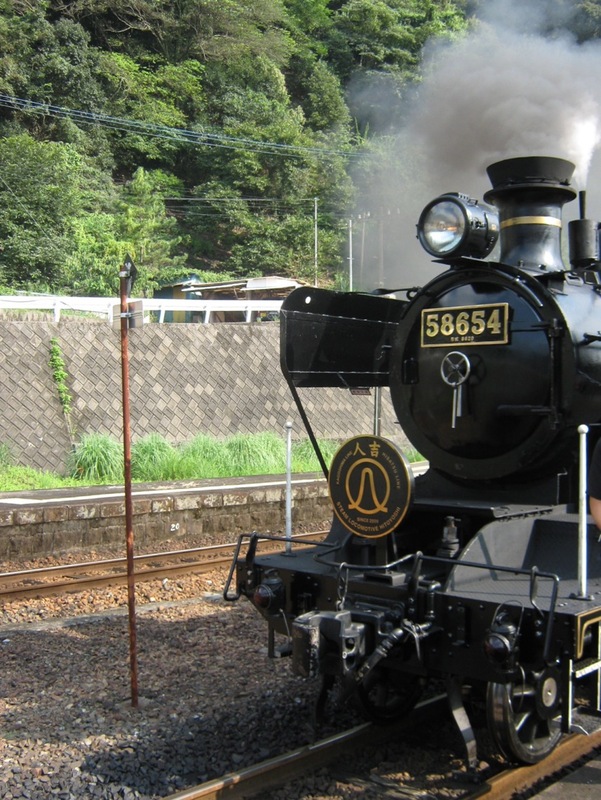 The same neo-retro style that first appeared on the advertising for Steam Locomotive Hitoyoshi (you can see an example in the opening of my video about said train over at this post) is now on several Kyuushuu trip ads. 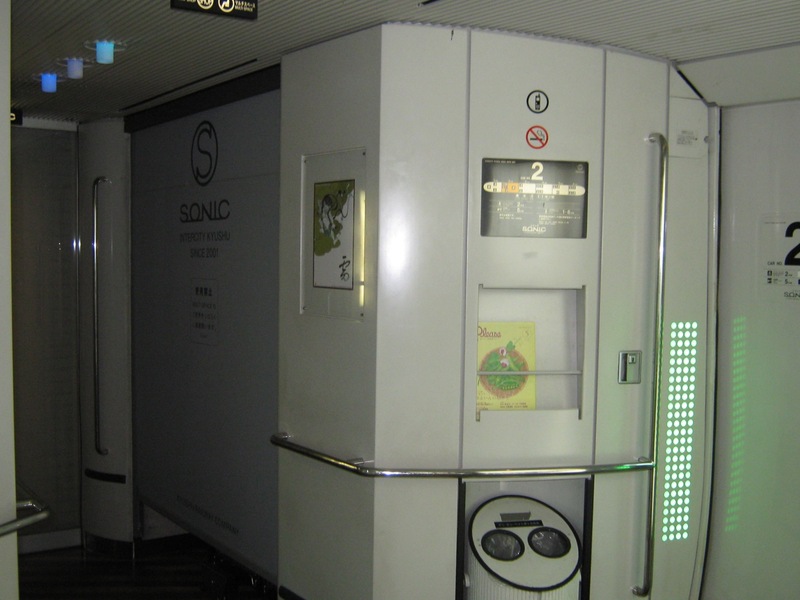 An inter-car compartment (if that's a term) on the Sonic. It's like the future yo. 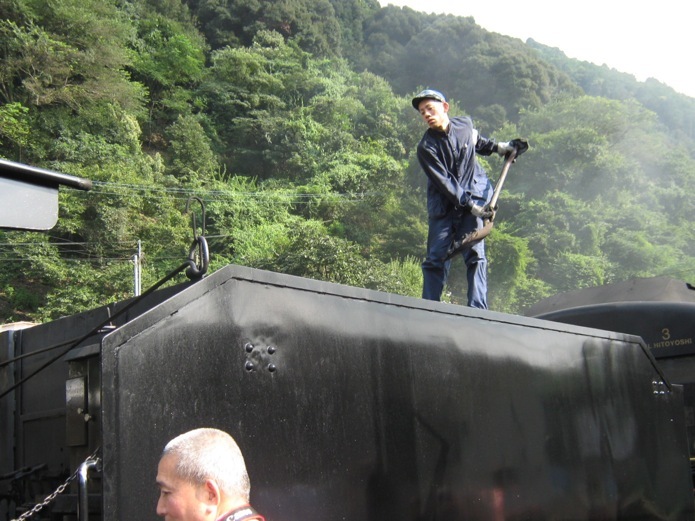 Well, that’s pretty much it for Beppu! 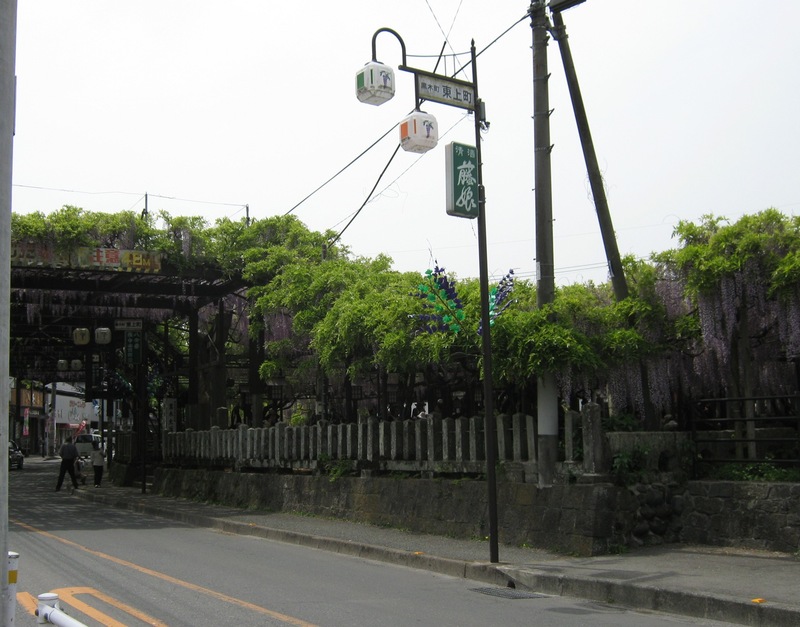 I don’t know if Desperate Housewives is still on, but I sure did get a whole lotta “Wisteria Lane” last week and during Golden Week when I went with one friend to visit another friend and see the Big Wisteria (大藤 – oofuji) in the small, small town of Kurogi, which is now a part of Yame City. We had lots of fun eating, drinking homemade ume shuu (plum wine), exploring the mountainside, and watching episodes of The X-Files. 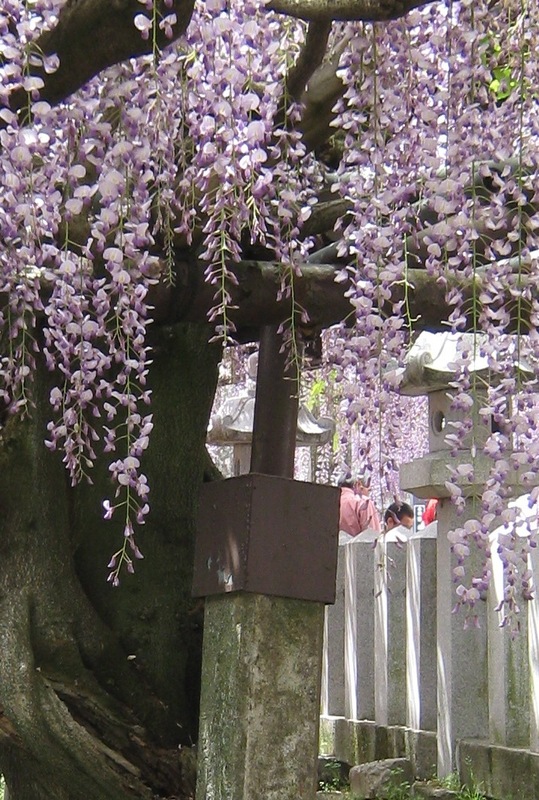 Usually, my friend told us, the wisteria is in full bloom by mid to late April, so we went down there one weekend before Golden Week. But since the winter had been unusually long, it had barely started to bloom, and I couldn’t even smell anything. I did get some interesting shots, however. The plaque letting us know the big wisteria is a national treasure. Also, creeper cameramen in the background. One of those reporters finally got the courage to go up to my friend and ask if she would do an interview, but she said no. Can’t say I blame her. Don't know if these are roots or branches, but they're very interesting. Looking up. It was a dreary day. 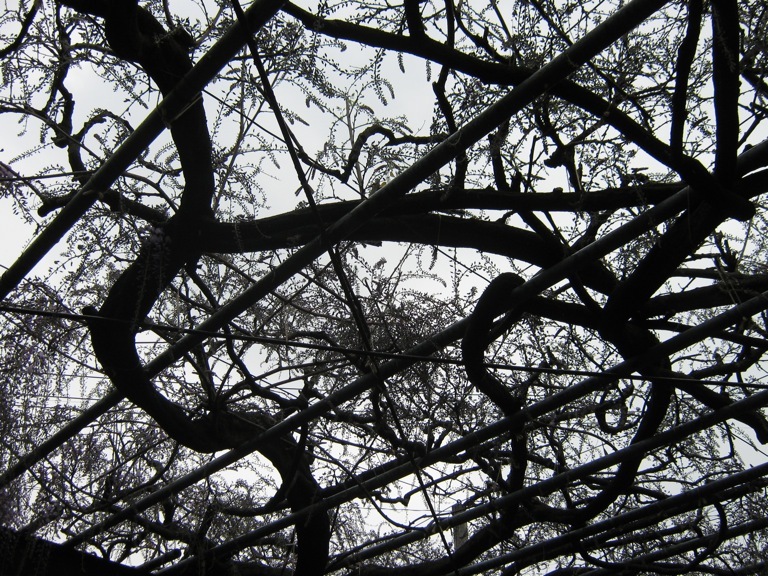 I named the file "wisteria gazebo" but it's not a gazebo at all. ^o^; It's more like a "viewing deck." After looking around at the wisteria, we went to the various stalls and stores lining the main street. I got some yakiniku, and one of the shop guys asked me if I was from Sweden. 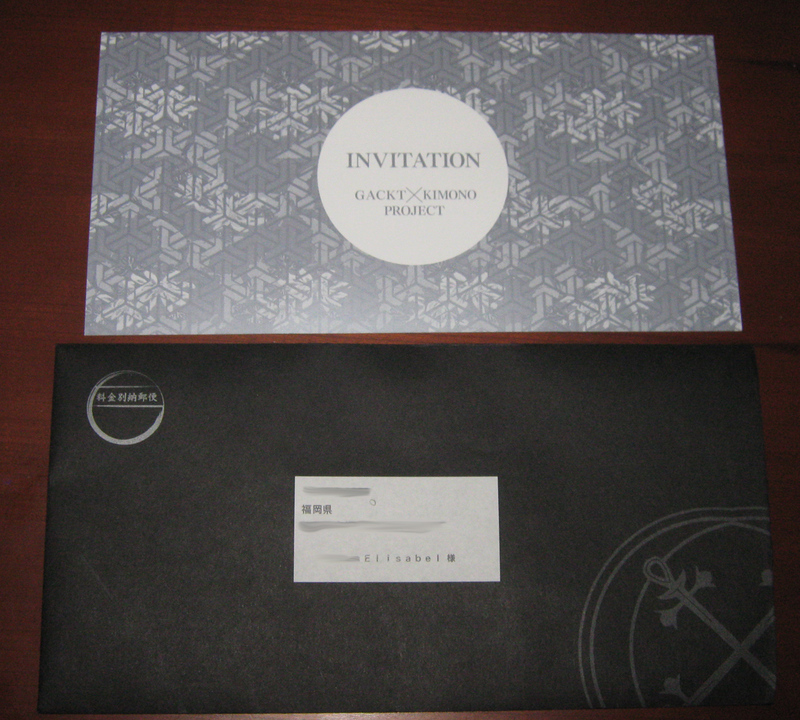 @_@ Guess it was my lack of an English-speaker’s accent that threw him off. Then we went to a coffee shop, got some lengthy stares (including one from a young mother who just looked surprised and delighted beyond her wildest dreams; it was pretty weird), scared small children and customers with our mere presence, and got ignored by the shop pooch. Luckily the friend who lives there said the people that know her are really nice and take care of her, and any of her students that we ran into greeted her cheerfully. 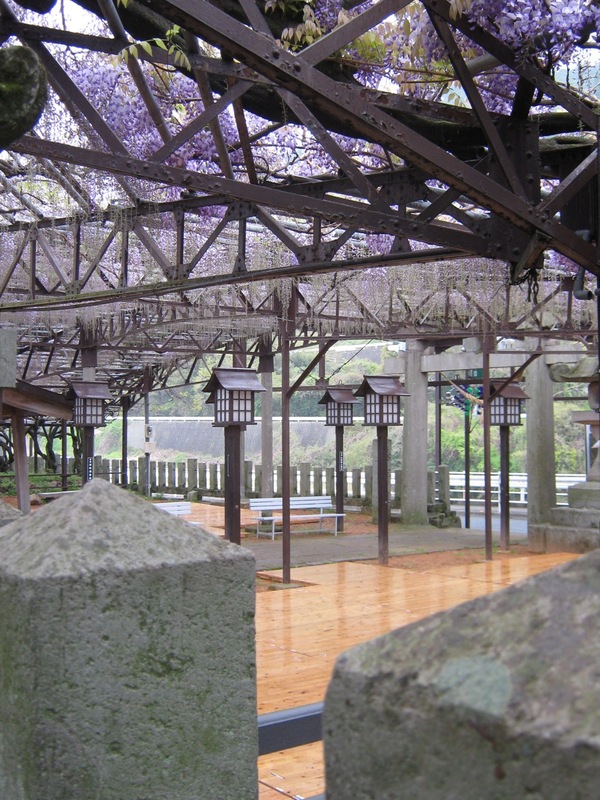 At the end of the day, since the wisteria had been a semi-bust, and none of us had plans for Golden Week, we decided to take a last minute trip to somewhere, and return to Kurogi as well. 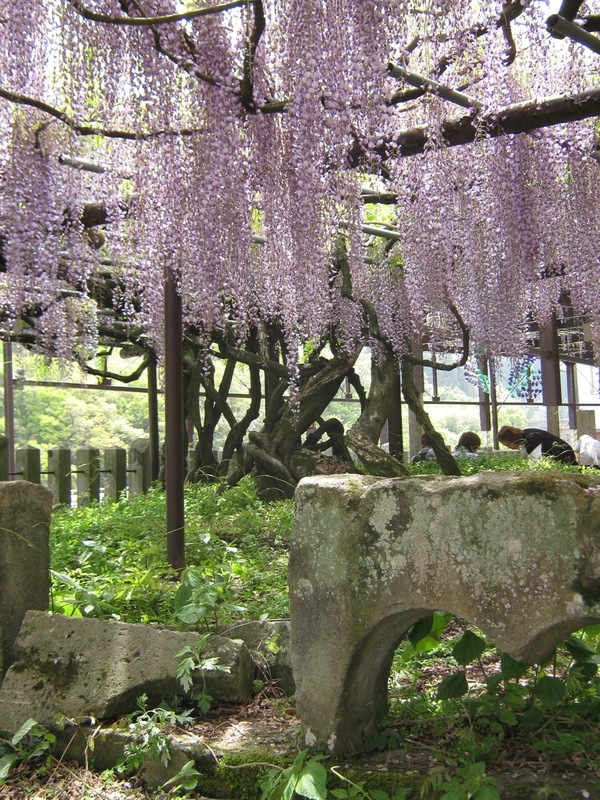 When we did go back, the wisteria was in full bloom and exuded a soft fragrance. However, because it was Golden Week, there were many more people than previously, and I couldn’t get many shots without the wild assortment of kids running around, poorly dressed young & middle-aged people, and well-dressed old people. 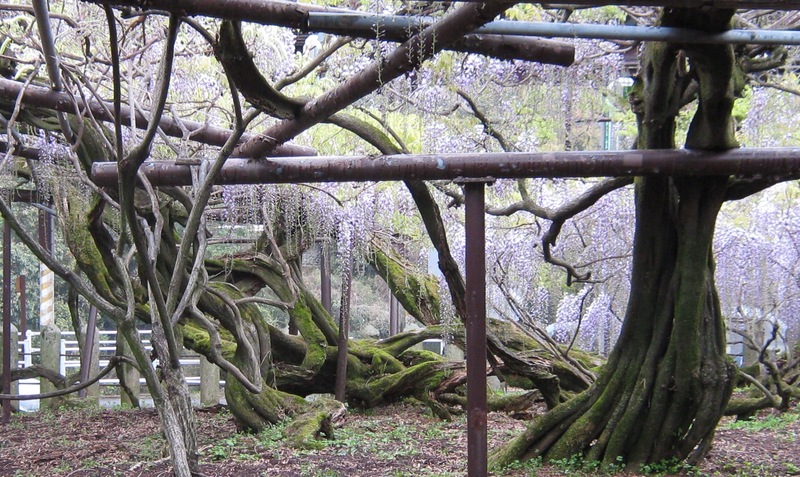 Here you can almost see just how far the Big Wisteria spreads out. Here's a crop from a much larger photo so you can see the flowers more clearly. 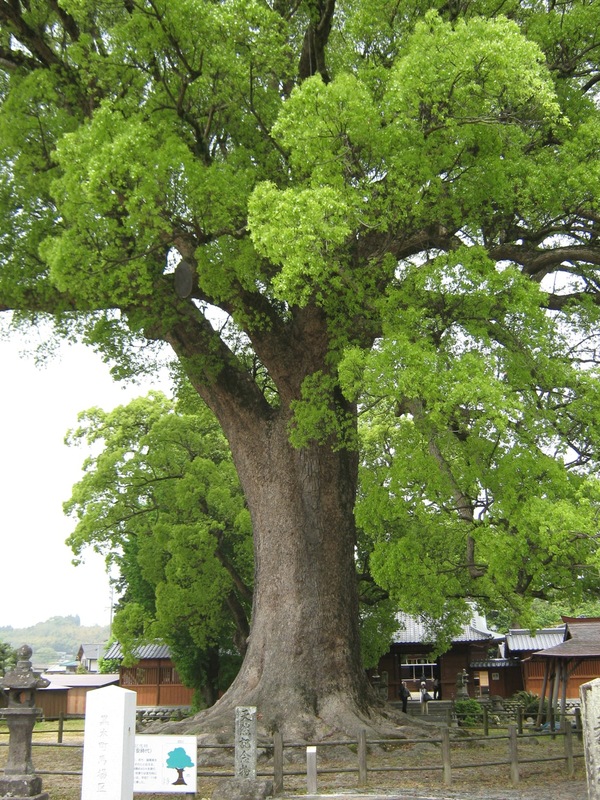 The Big Wisteria isn’t the only big plant in Kurogi, there’s also a huge Camphor tree （樟 – kusu) at Tsue Shrine (津江神社 – Tsue Jinja). 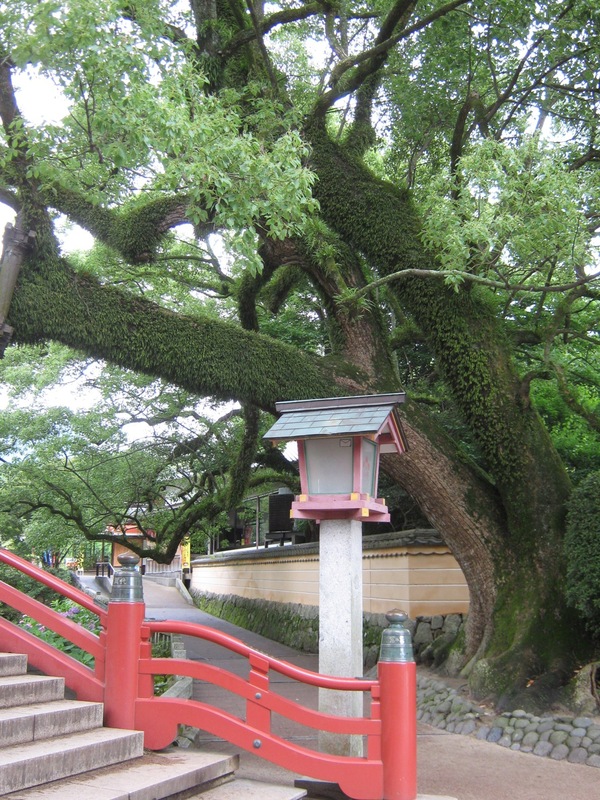 It is over 800 years old, dating from the Heian Era. We didn’t really have much time to stop and look at it, so I couldn’t go to a spot far away enough to get the whole enormous tree in the shot. So, that’s it, the expedition to see the purple hanging flowers. So what’s up with these critters? There’s a board at the station explaining the origins of these winged doggies. You can also see photos of some other winged dog sculptures on this board. 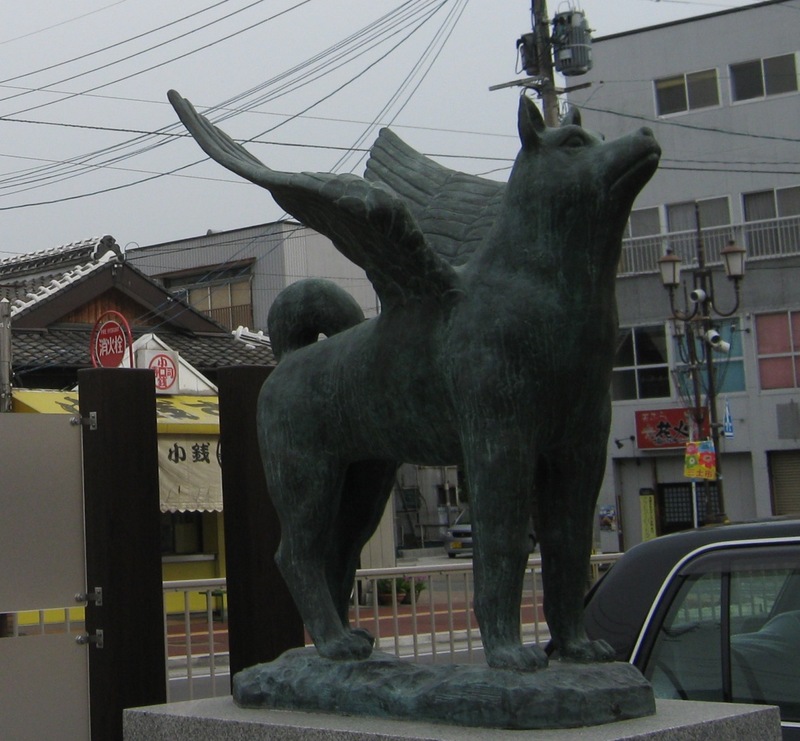 There are various monuments of winged dogs scattered throughout Chikugo City. 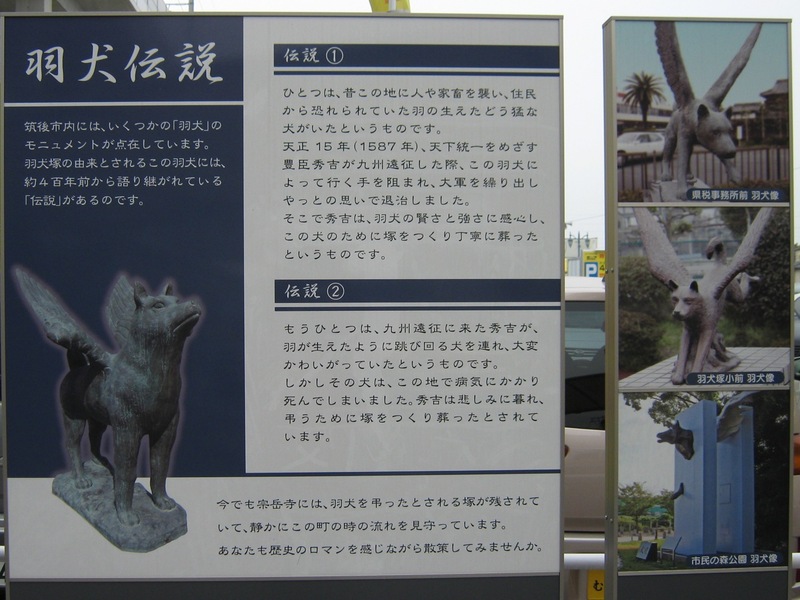 The origins of “Hainuzuka” lie in legends of a winged dog that have been passed down from generation to generation for about 400 years. One legend is that a long time ago, there was a fierce dog who had grown wings that would attack people and cattle. The people feared this dog. 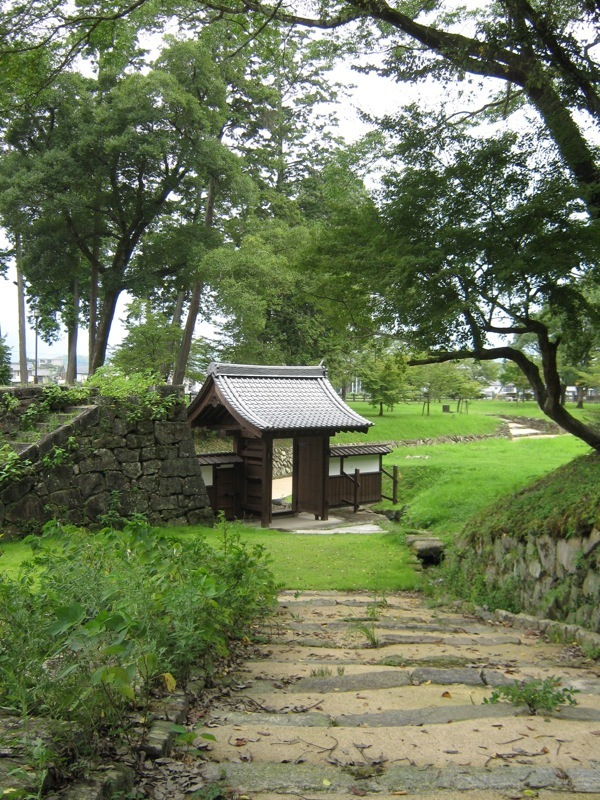 In the 15th year of the Tenshou Era (1587), when Toyotomi Hideyoshi, who strived to unify the land, came on an expedition to Kyuushuu, his path was blocked by the winged dog. Hideyoshi sent forth more and more troops, and after a great struggle, was able to kill the dog. 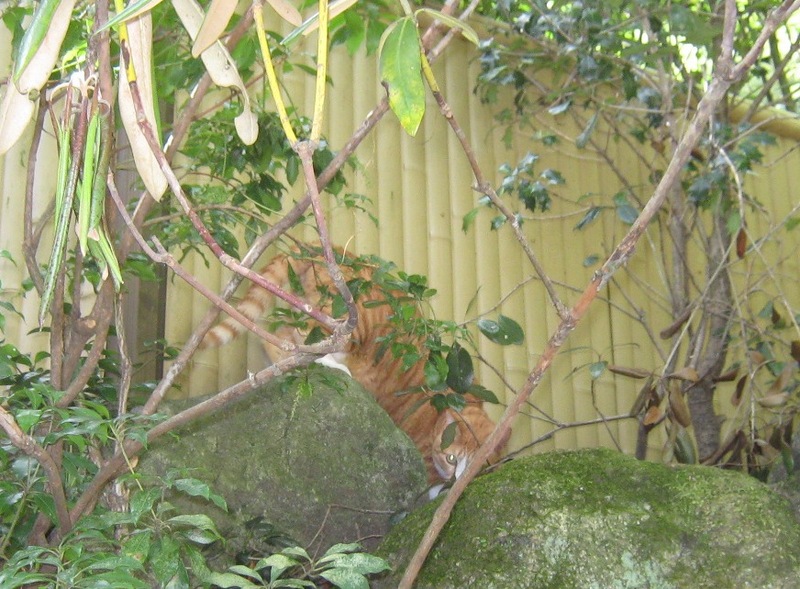 Impressed by the dog’s wisdom and strength, Hideyoshi built a mound for the dog and properly buried it. Another legend is that, when Hideyoshi came on an expedition to Kyuushuu, he brought along a dog he adored. This dog would run and jump about as if it had wings. But, the dog became sick and died here in Kyuushuu. 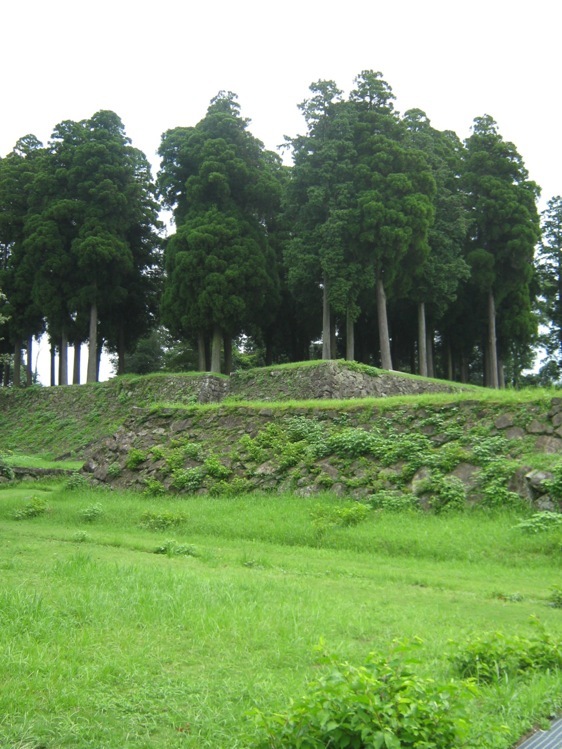 Hideyoshi, overwhelmed with grief, built a mound to have a proper funeral for the dog and buried it. 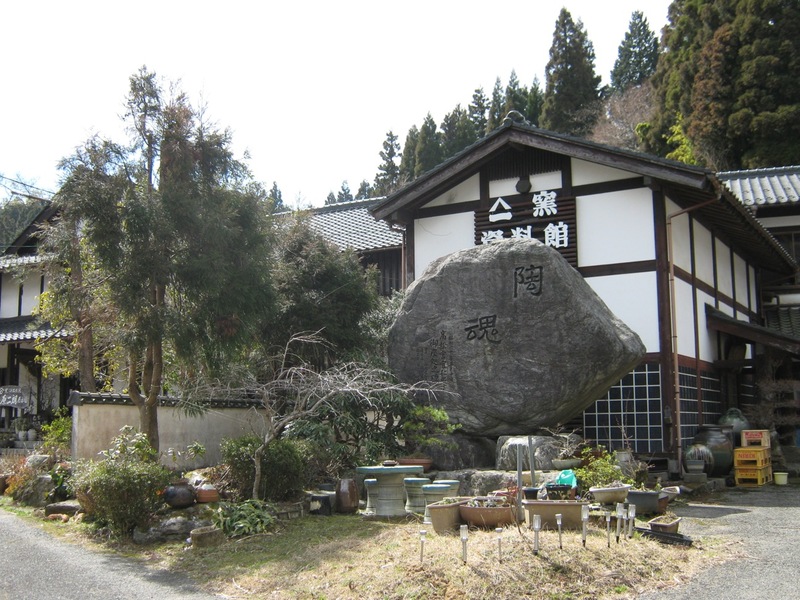 Even now, the winged dog’s burial mound is at Sougakuji, quietly watching over this town as time flows on. 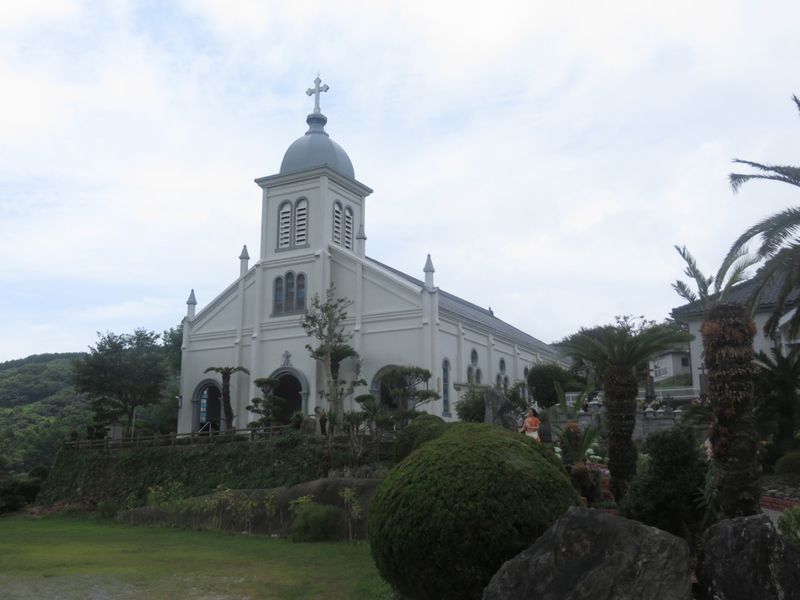 How about taking a stroll while feeling the romanticism of history? This past Thursday the 17th, I went with the first and second year Art students, their teachers, and my co-ALT to the pottery village of Koishiwara to make 絵皿 – ezara – meaning “decorative plates,” or more literally, “picture plates.” About a week and a half before this trip, the head of the art department (whom many teachers at the school say looks like French actor Jean Reno rather than a Japanese person) gave us the handout the students got, and a template for our picture plates. Trudging through the handout full of art terms I didn’t know, I was rewarded with an introduction to three very interesting Edo-period artists: Ogata Kourin, Itou Jakuchuu, and Shibata Zeshin. I made photocopies and colored them in different ways. We would only have 5 colors available to us: blue, brown, black, black made my scratching, and the beige of the unglazed plate. Of course, laying the glaze on in several coats would make that color darker. 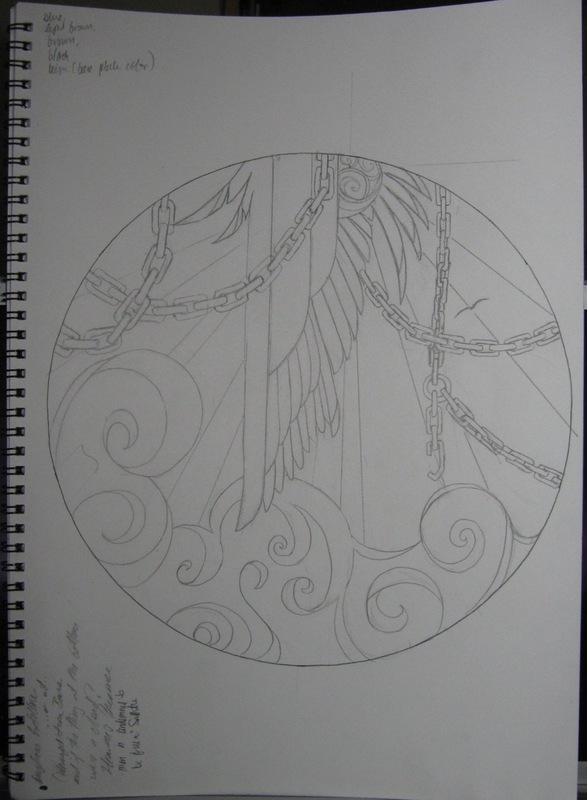 We would have carbon paper to transfer the drawing directly unto the plate. I actually took this on the way back. 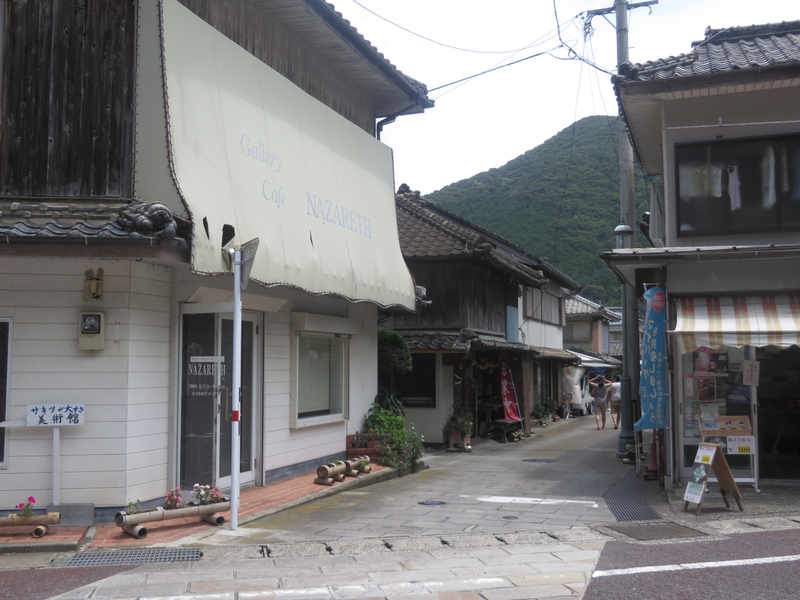 Once we got to the village, we went straight to the pottery studio we’d be working at, Yamaichigama. 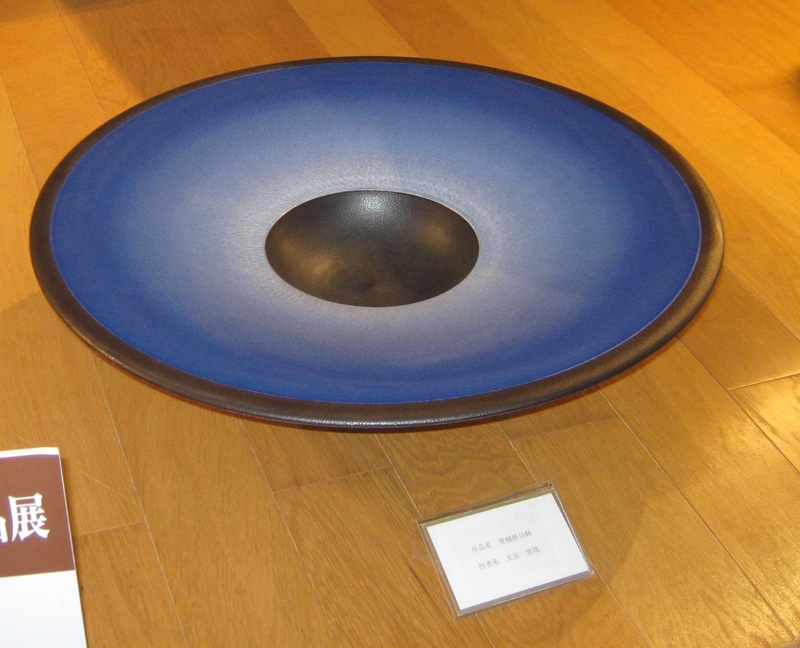 “Kama”（窯 – sound changed to “gama”) means “kiln” but in this case it appears to serve more as “house of” as in specific fashion houses (Chanel, Vuitton, etc). 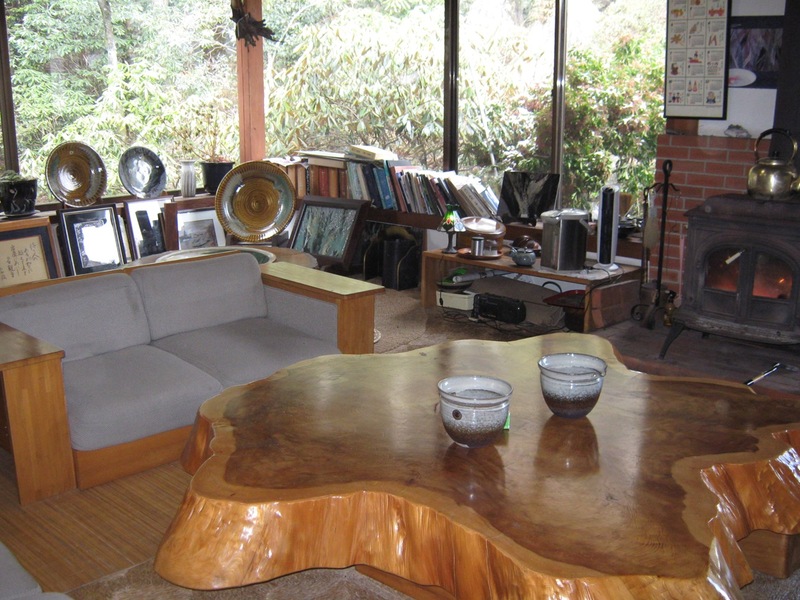 Apparently, the Emperor bought pottery from this studio nearly 20 years ago! *Ahem* Anyway, the studio inside was a bit chilly, but all in all a very nice country cabin. There were many pieces on display, and more up for sale. There were other rooms, but this is where I worked with some first years. Actually, at the table behind the couch there. I sat with two girls and my co-ALT and got down to business. Given how intricate my design was, I knew I would need all the time allotted. As we worked, I couldn’t help but hear the girls’ conversation. One was telling the other what happened on the previous night’s episode of The Best House 123, a show that, every time I’ve seen it, has dealt with reenacting incredible incidents from abroad (not necessarily with the utmost accuracy). So the girl wrote “puppy love” on her plate but remained unsatisfied: “How about some lyrics from a love song? An Avril Lavigne song maybe?” I, who don’t particularly like Miss Lavigne’s oeuvre, couldn’t help her there either, but luckily, my co-ALT could. He wasn’t 100% sure he was getting the lyrics right, but close enough. Time was almost up, so I decided to just leave my design as it was. 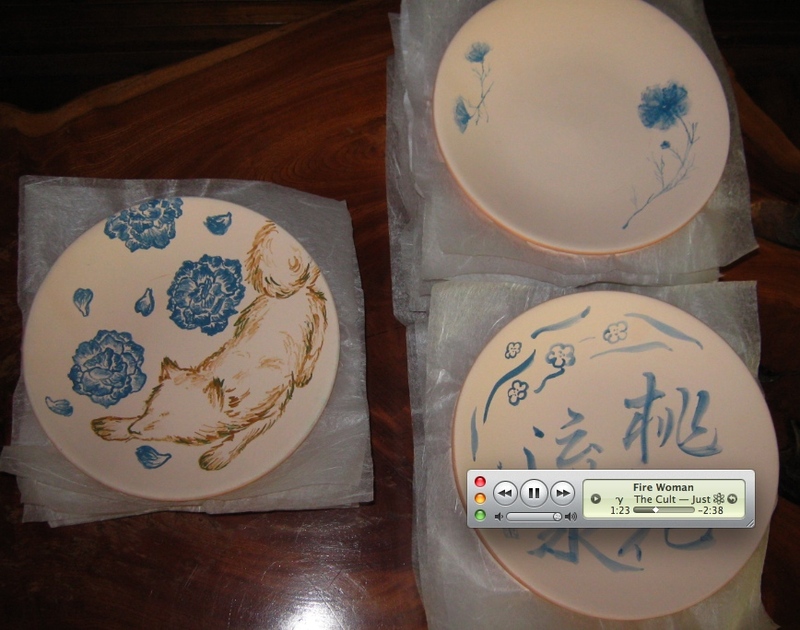 After applying the glaze, before firing. The green will turn black, the blue will stay about the same, and the brown will hopefully remain light enough to pass for gold. 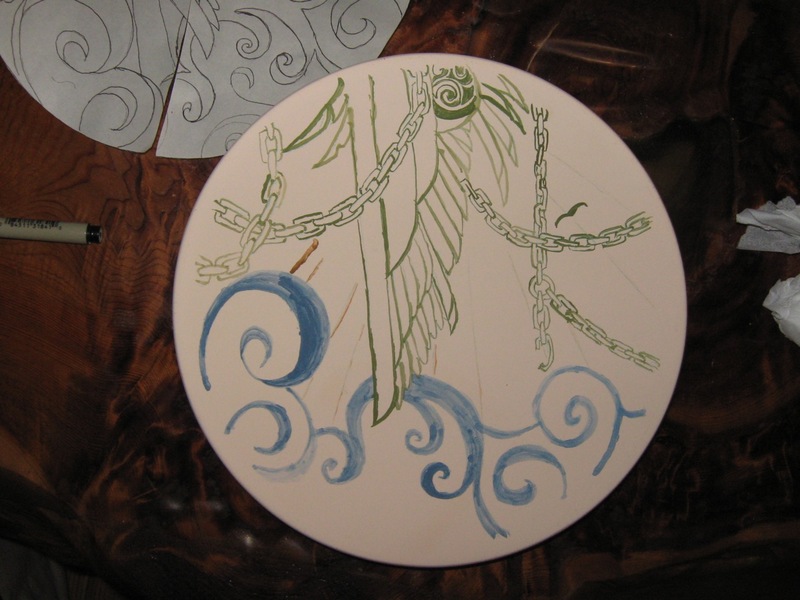 The plate will be fired and varnished by the studio’s people. I can’t wait to see what these will turn out like! I don’t know when we’ll get them back though. 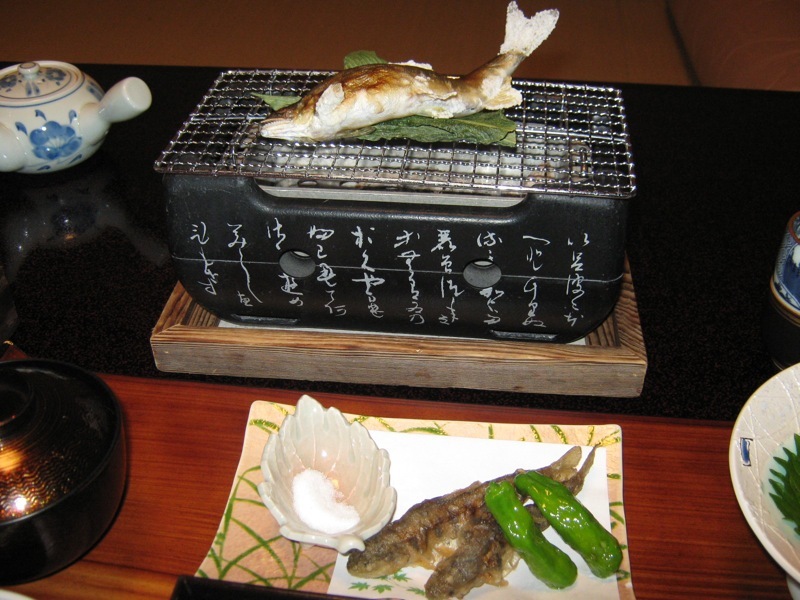 At least in time for bunkasai in May, since the plates are put on display then. Once everyone had finished their plate, they went about chatting with their classmates and buying a little plate or cup. 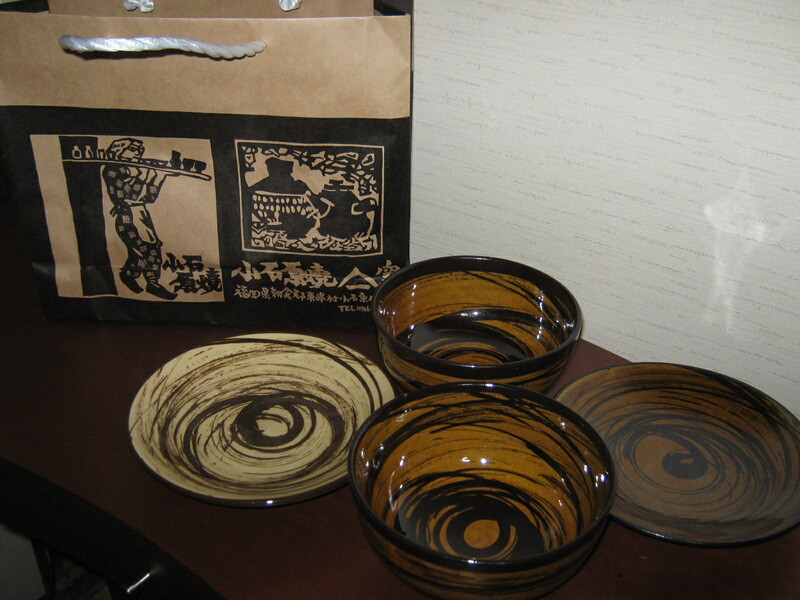 I was enchanted by one of the studio’s motifs, and felt it was a bit pointless to buy just one plate, so I got 2 chawan and 2 plates. 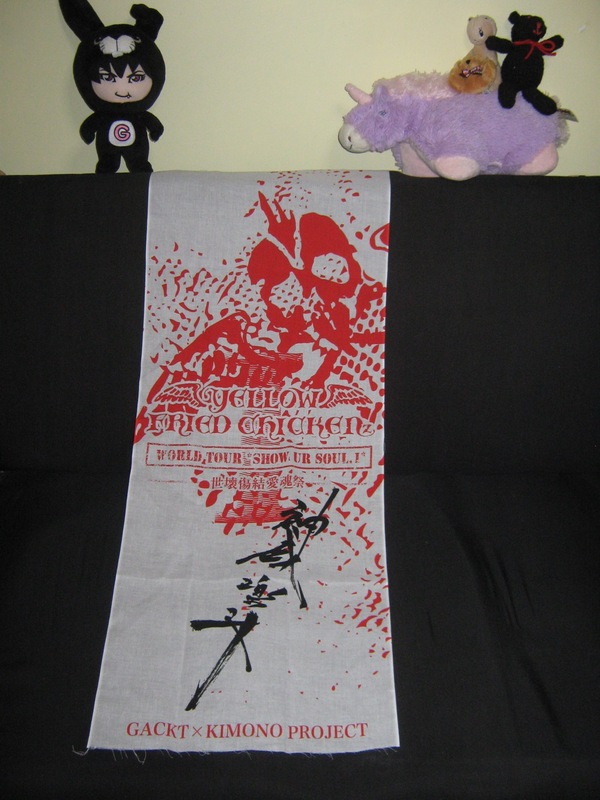 ^_^; They were on sale, and I got one of them for free because it had a tiny little crack in the foot. Besides, I can’t help but respect people who make their living off of their artwork. This design spins me right round. Photographed once I got back home. After the museum, we got back on the buses to head back. 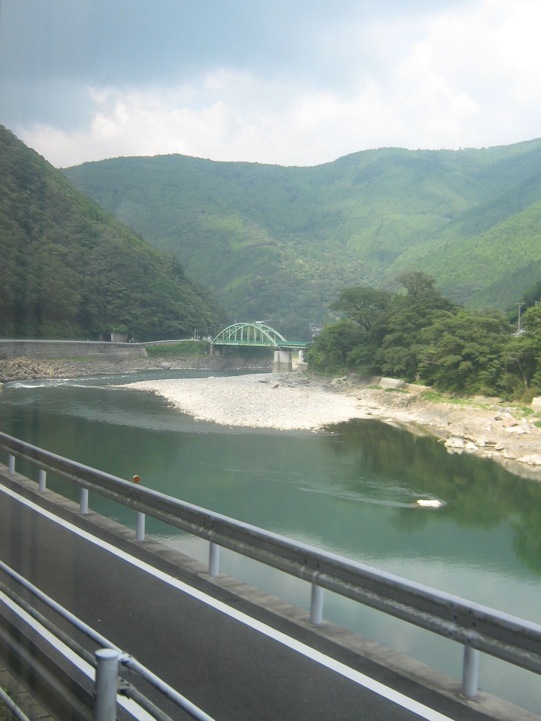 Due to my sleep-deprived weekend, once we were past the Egawa Dam and I got my shots, I let myself doze off. The students had also fallen asleep by then. There were a few kids who had earned so many participation points throughout the year that they had more points than they needed to achieve a perfect score on our Oral Communication test. (We make the test have only about 45 points each time, so that they cannot achieve the full 50 point score without participating in class.) I had asked the teachers what to do about these cases, since I thought it was unfair that the kids not get credit somewhere for their work. I was told to write down the names of students with leftover points, but I got the feeling nothing would be done with it, so I decided to give these students a present. 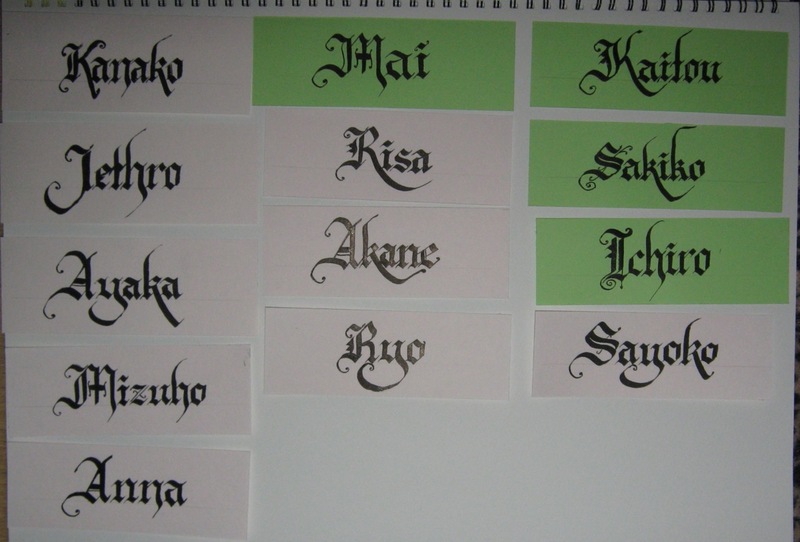 What I usually give out are nameplates/bookmarks done in calligraphy, in a style based on Gothic Black Letter. Depending on how much time I have, I’ll add an outline of silver or gold on the letters so that they pop out. With even more time, I like to laminate the nameplate so it can better serve as a bookmark, but unfortunately I haven’t had the chance to do so here in Japan. I’ll end this post with a picture of the ones that I think turned out the best from that all-nighter. I took this photo before I erased the guideline. I don’t have photos of the ones I did before this. I wasn't sure which system of romanization each student prefered, so I just did whichever looked best. The non-Japanese name is that of an immigrant student. 次回！Ahhh…mmm…and I just realized that from the standpoint of symbolism, it was a bit strange to end the concert with “Smoke on the Water.” Good thing they called it “Deep Purple Medley” instead. 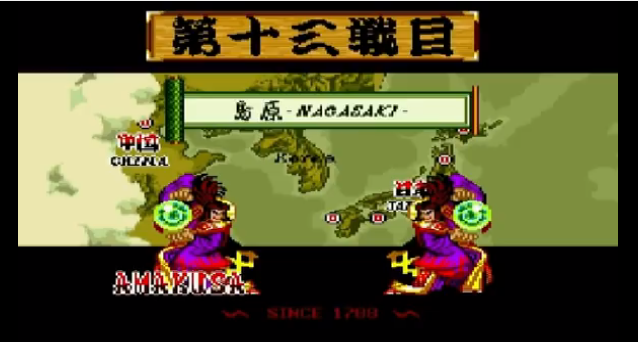 When Tokugawa Iemitsu decided to close Japan off to most of the rest of the world in the 1600s, the only Europeans allowed to maintain trade were the Dutch, who were restricted to Dejima in Nagasaki. 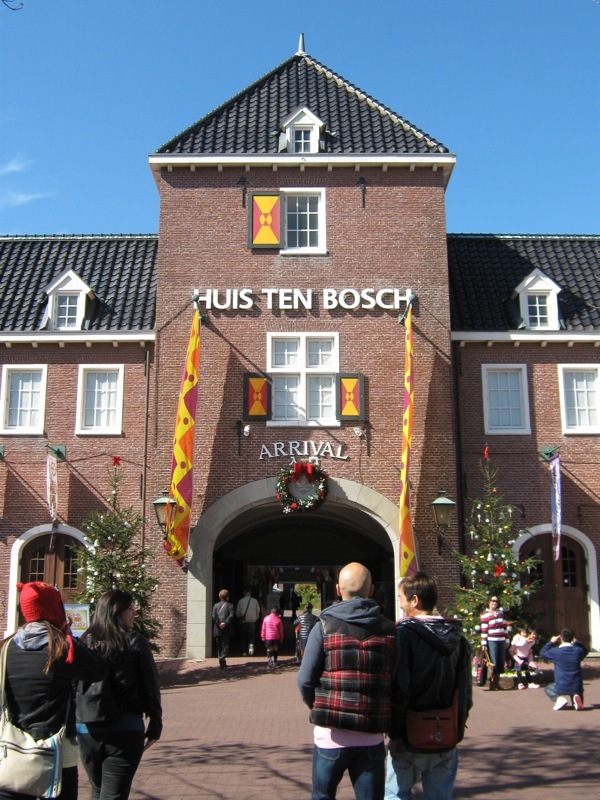 So, the amusement park Huis Ten Bosch, which is named after one of the residences of the Dutch Royal Family, reflects this history of cultural and mercantile exchange. 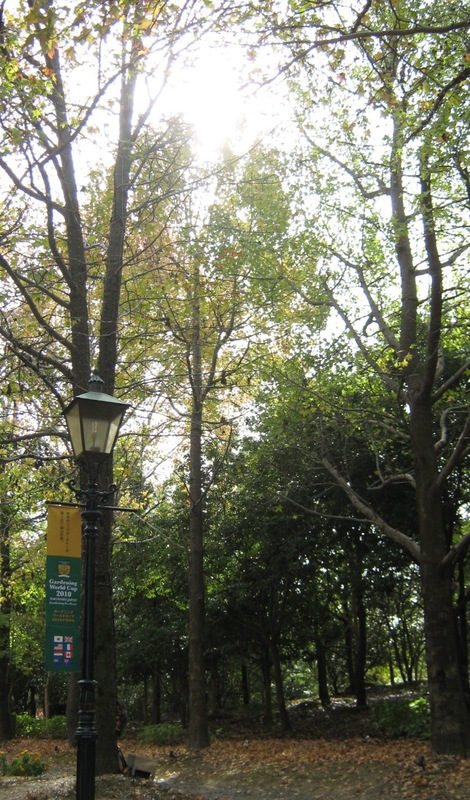 The park is meant to resemble a Dutch town, and indeed, most (if not all) of the buildings in the park are replicas of buildings in the Netherlands. 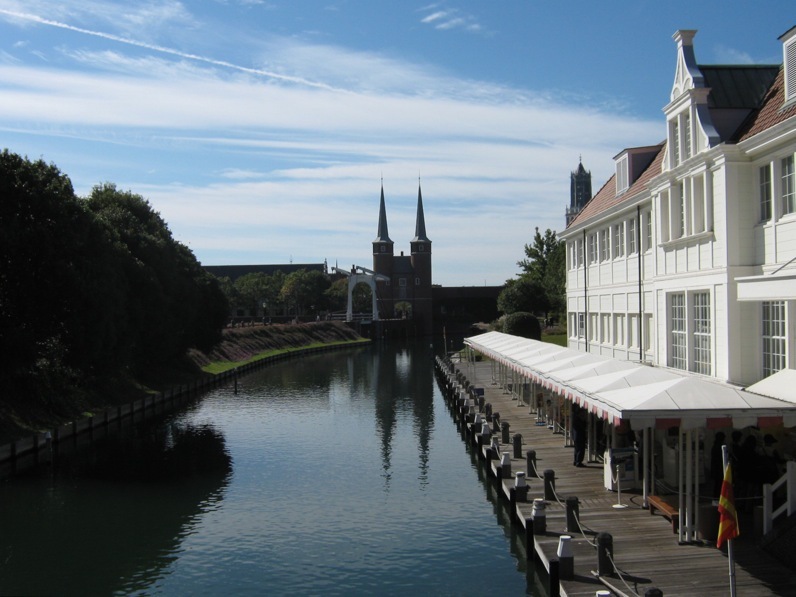 The Dutch Royals even gave permission for a replica of the house Huis Ten Bosch itself to be built. The park is currently hosting the Gardening World Cup. This was the reason the friend of a friend, a landscaper, wanted to go there. He drove us down and we all had a blast! Below are some of my favorite photos from this trip. There were many windmills, each of which had what I think was a name on it. I only remember "Slaper" and "Waker." I assume that's Dutch. 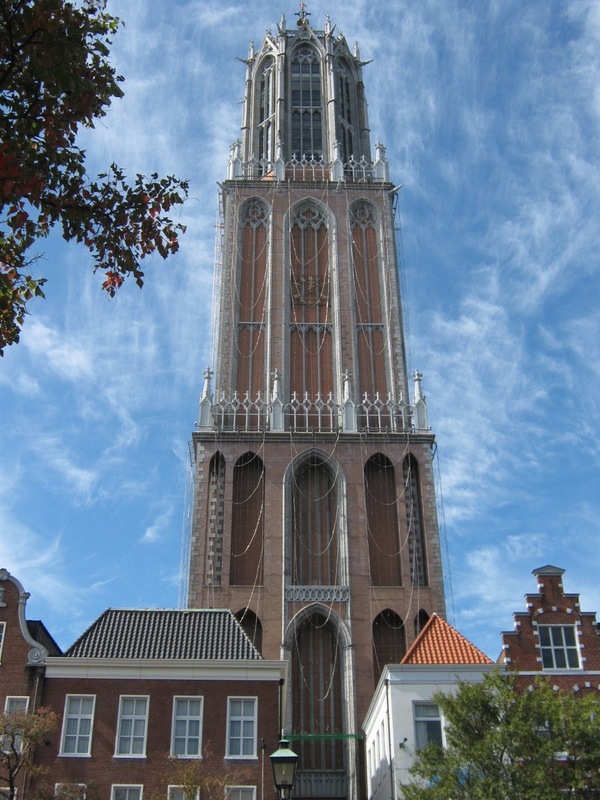 A replica of the Dom Tower in Utrecht. It was lucky those frilly clouds appeared, they go well with the frilly building. I don't know if this is supposed to be a replica of the De Liefde. 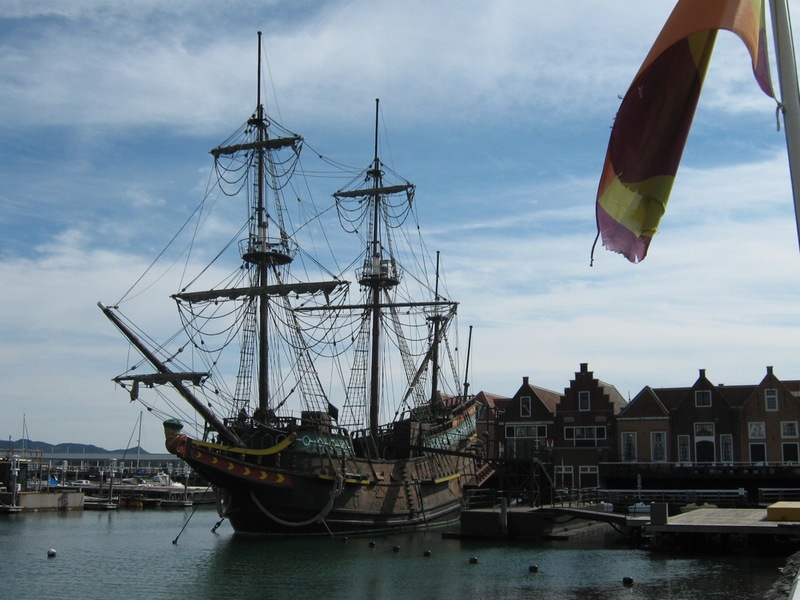 The De Liefde was the first Dutch ship to arrive in Japan. I didn’t know this when at the park so I didn’t think to go to the back of the ship to see its name. In any case, I was too busy imagining Captain Jack Sparrow stealing this ship to chase after whoever has the Black Pearl at the moment. 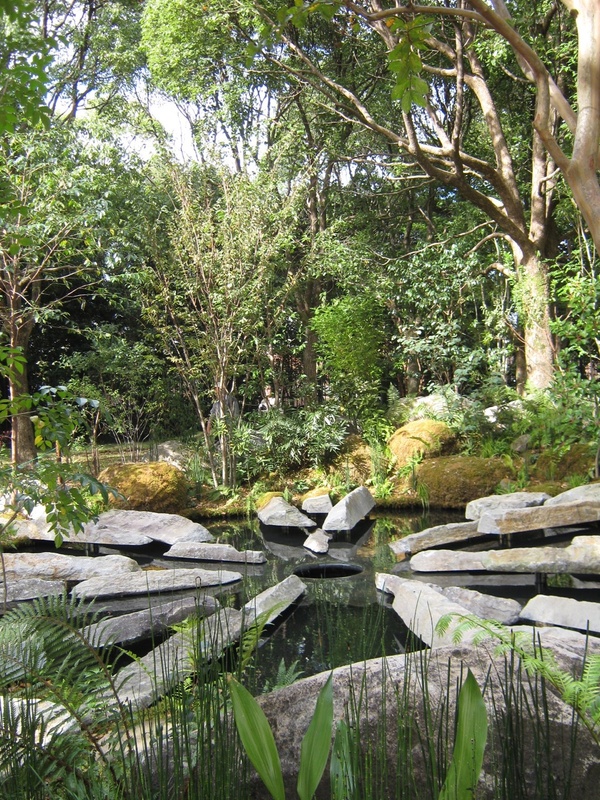 When I found my friends again, we entered the Gardening World Cup area. I won’t put up pictures of all of the 10 entries, just the ones that I liked and photographed well. 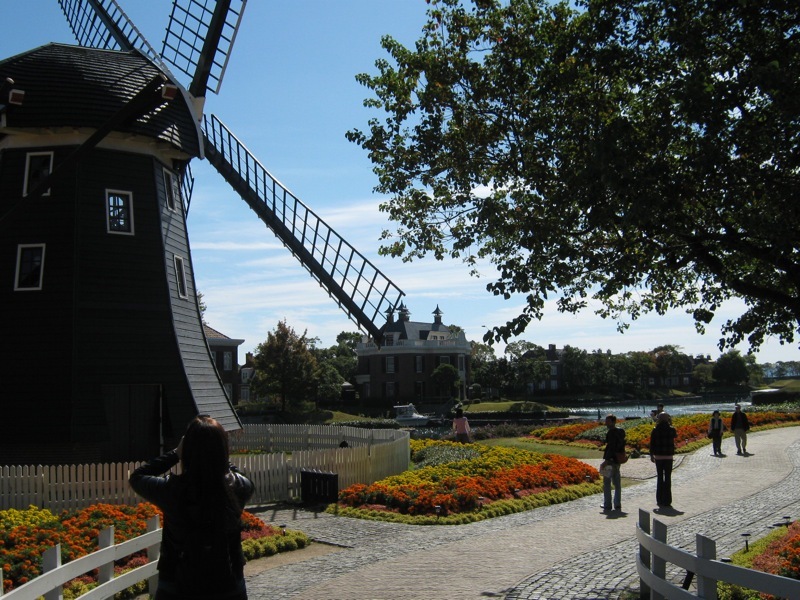 I also don’t have photos of the replica of Huis Ten Bosch (the house) because I thought it was actually kinda drab, at least from the side that we were at. ^_^; The theme in all of these is Peace. Of course there was a bigger gate with the name of the event and sponsors, etc., but we've seen such photos 10 trillion times before so I took this instead. First up, the American entry “Pax et Bonum” by John Cullen. It represents the story of St. Francis of Assisi, particularly, his restoration of the Porziuncola. I’ve always liked Caspar David Friedrich’s painting Monastery Graveyard in the Snow, and this garden reminded me of it. 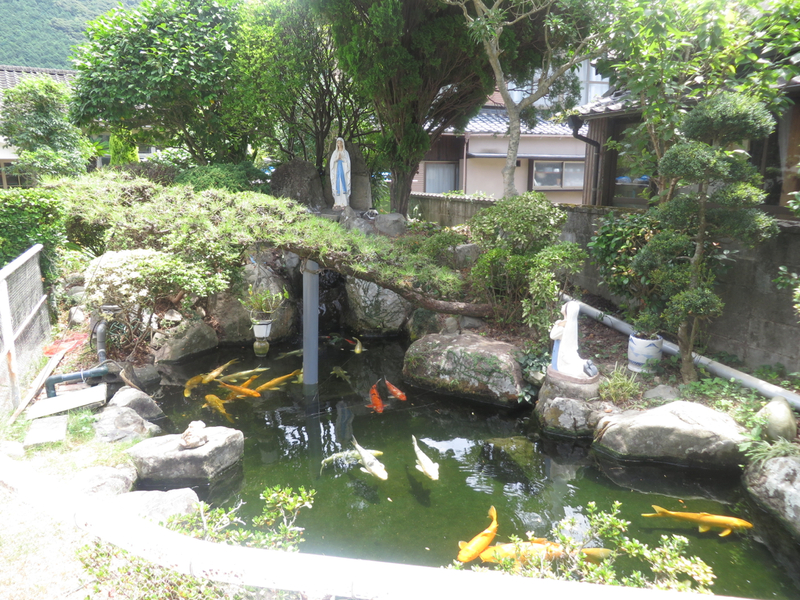 Of course, St. Francis restored the Porziuncola, whereas the monastery in the painting is beyond repair, and the painting itself was destroyed during WWII, so the atmosphere at the garden is much more filled with hope. There's more to this garden but I couldn't really get a good shot of the whole thing. Next, we have an entry from the U.K. by John Towillis. When I first approached it, it had the most impact because I could tell what the theme was without reading the explanation, and its design is simple and bold. I thought the explanation was a bit convoluted, something about humans feeling disconnected from nature but by allowing ourselves to get sucked in by it we would realize we’re a part of it. This one is called "Resurgence Garden." 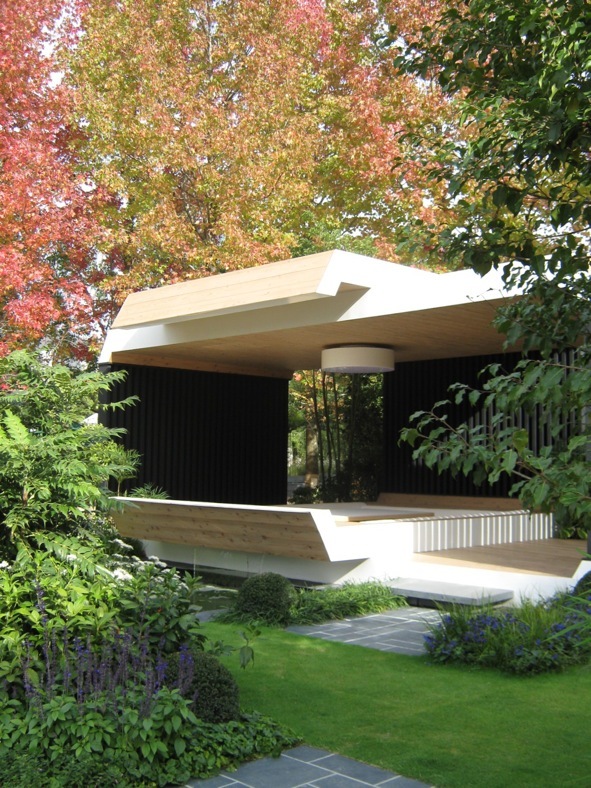 Another one I liked was “Australian Style Garden” by Jim Fogarty. This one won Best Construction. I thought it looked like something out of Star Trek. ^o^ The explanation was that by getting to know each other, for example, by sharing meals, people from different parts of the world could work for peace. This would've looked cooler if the trees directly behind the structure had already turned red, then I could've taken the photo from a better angle while still getting the red-black-white contrast. The back of the banners are in Japanese. 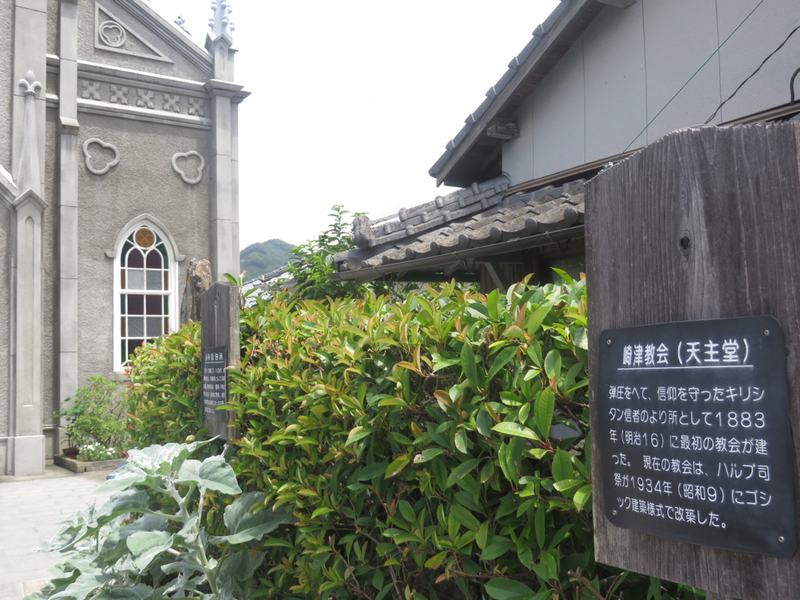 The clock on the left marks the date and time of the atomic bombing of Nagasaki. 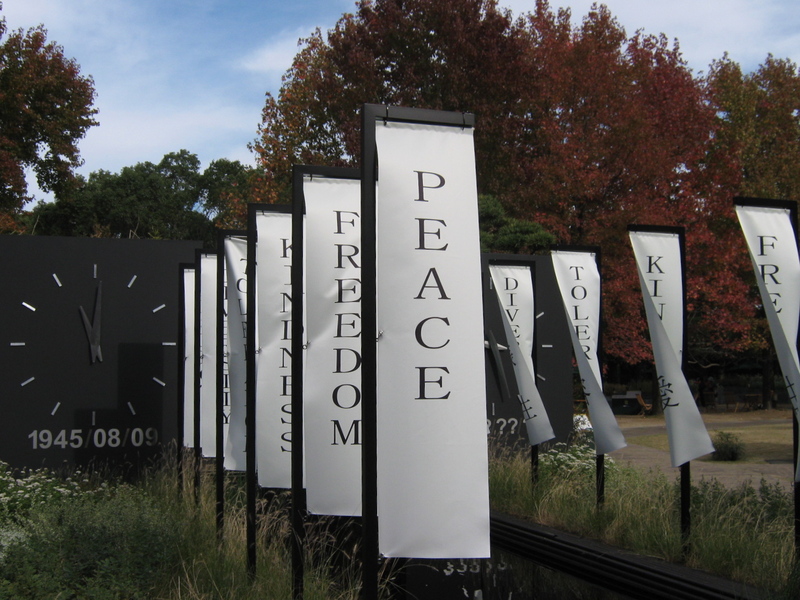 The one on the right has question marks, representing the uncertainty we live in as countries continue to hold nuclear weapons. In between these two clocks were a bunch of pictures on spinning cogs, that at a set time, would align to produce a picture of a white dove. Out of order it looked a bit creepy so I didn’t take a picture of it from that angle. That’s mostly it. 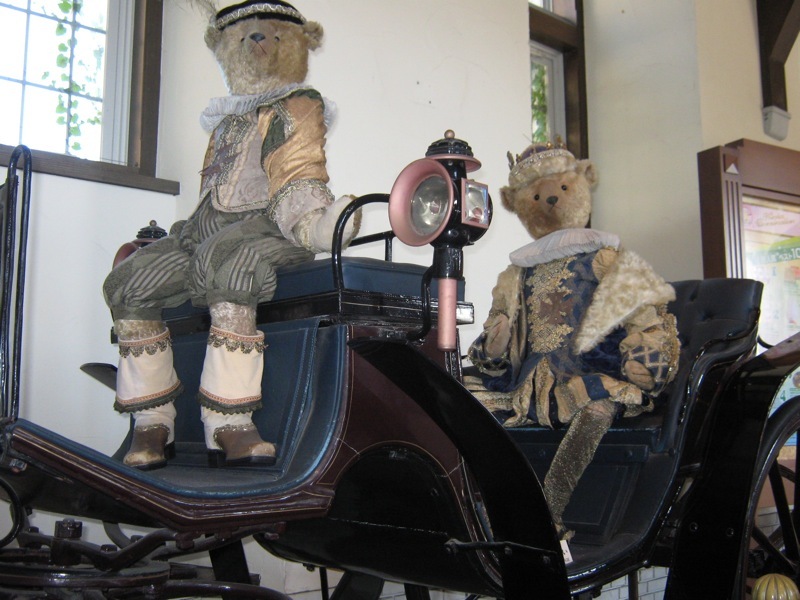 As they were playing a waltz over the loudspeakers at the entrance to the gardening exhibit, one of my friends and I literally waltzed in and out of there. ^o^ On the way out, I picked up some cheeses I’d had samples of earlier. 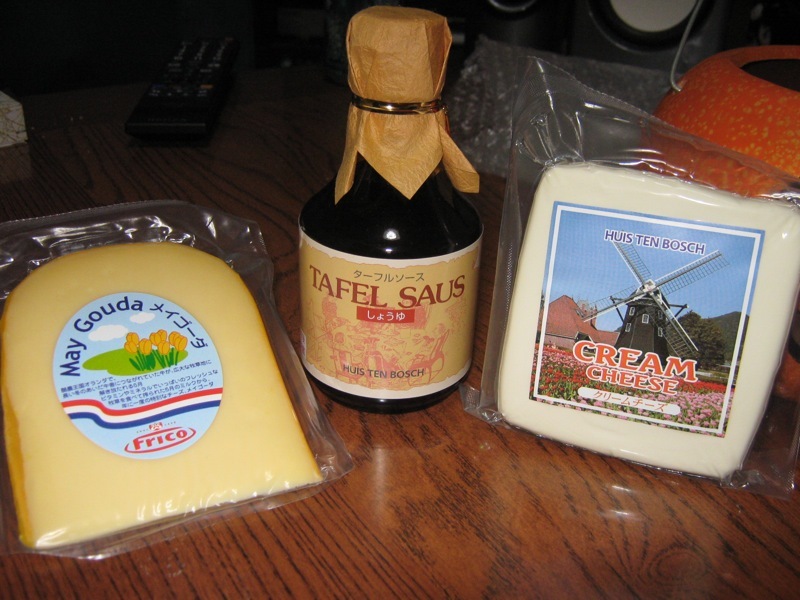 May Gouda imported from Holland and Cream Cheese from Denmark. The sauce seems to have been made in Japan. I’ve already eaten all the gouda. 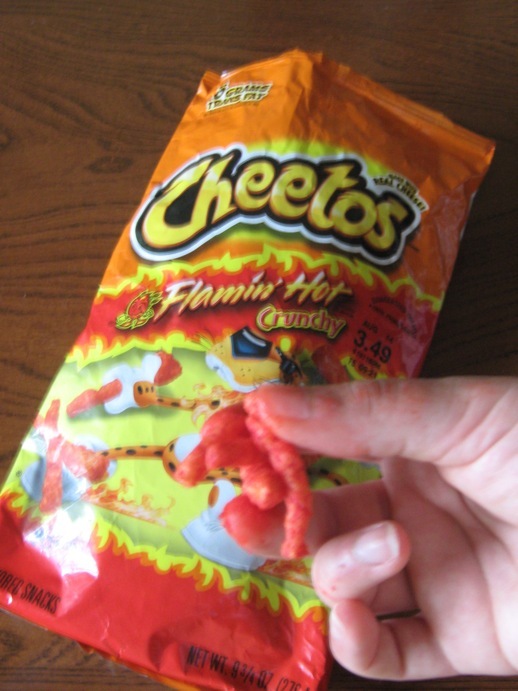 ^o^; It was soooooo good melted! 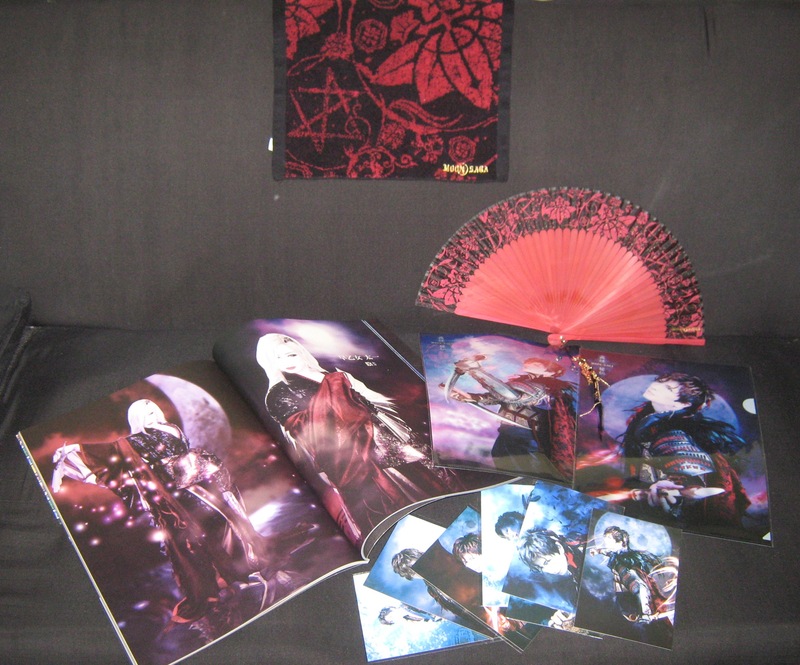 Well, I wanted to get this post up so that when I get back from the GACKT concert in Kobe tomorrow, I won’t have any to-do’s on this blog. There were a couple years during which my shita no ani (younger older brother) and I would watch lots and lots of kung fu movies. The raspy, dubbed voice of a monk saying to the protagonist in one of them “Buddha bleeeeeess youuuuuuu” has stayed in my mind for all these years. I don’t know why. 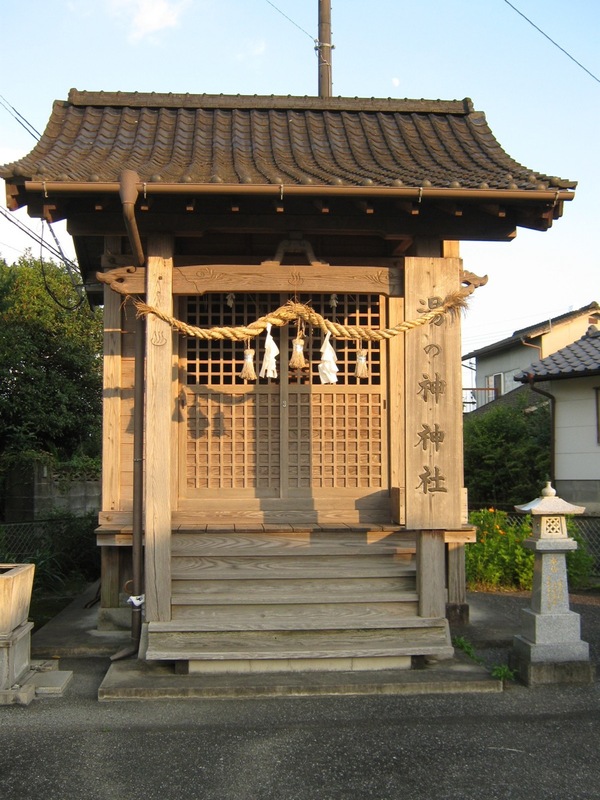 According to the Japanese version of Wikipedia, Sasagurimachi has been considered sacred ground since the Tenpou Era (1830-1844). 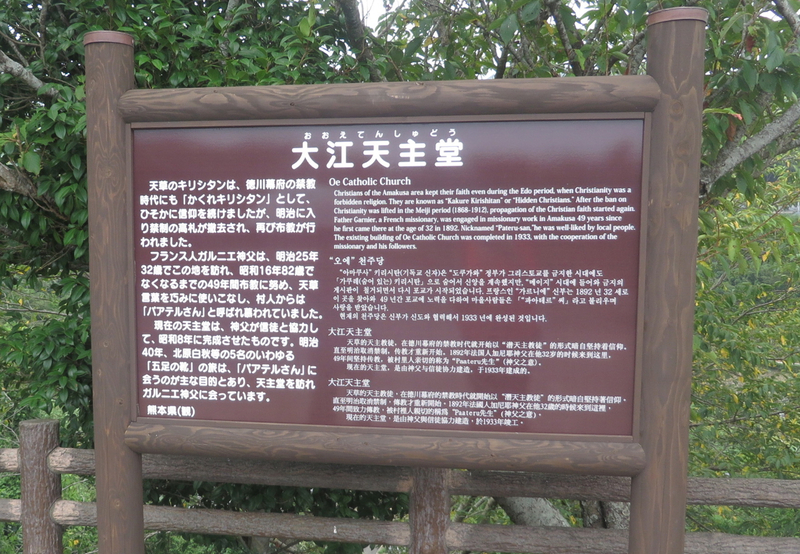 If I understood the article correctly, a nun who had made a pilgrimage to the designated 88 holy temples of Shikoku arrived in Sasagurimachi, saw the distress of the people, and began praying for them and spreading the teachings of Buddha. 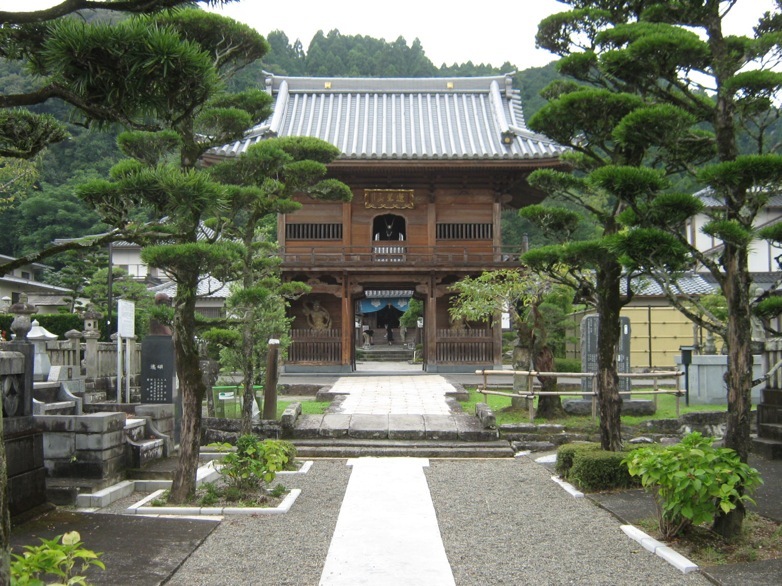 Soon thereafter there was peace, so the villagers started making many sculptures of Buddha, and to correspond with the 88-temple pilgrimage circuit in Shikoku, there came to be an 88-temple pilgrimage circuit in Sasagurimachi. 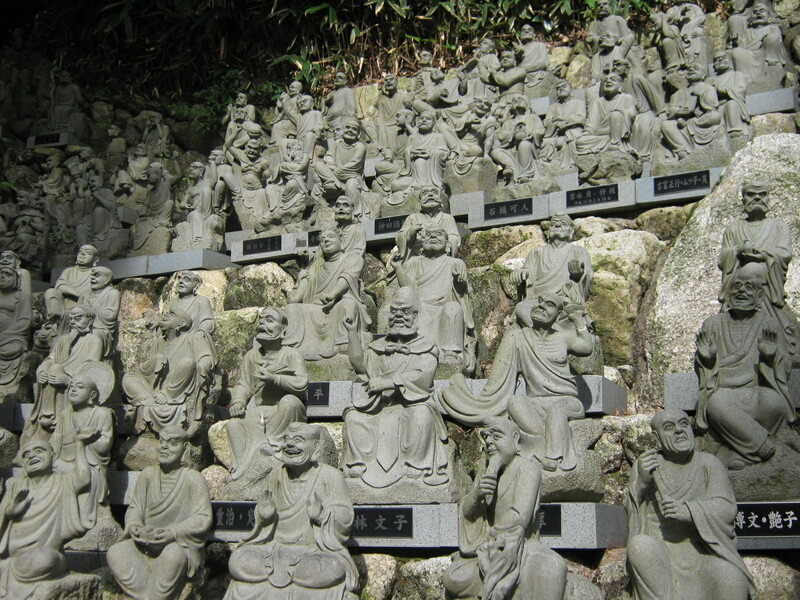 So, on the way to Nanzouin’s main hall proper, we saw many sculptures, small temples, and minor halls. Also a kitty cat. 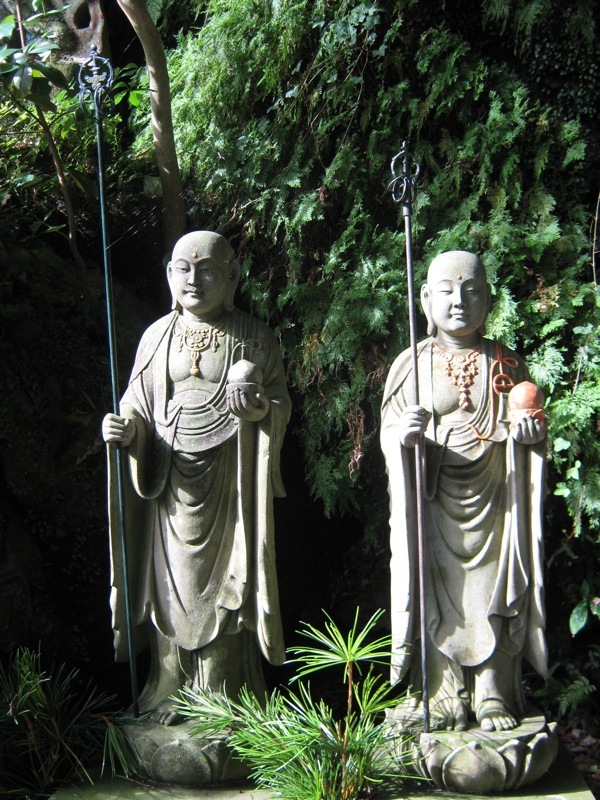 Not sure if these are supposed to be monks or Buddhas. I'm aslo not sure if the names indicate a person funded the sculpture, or that their ashes rest there. 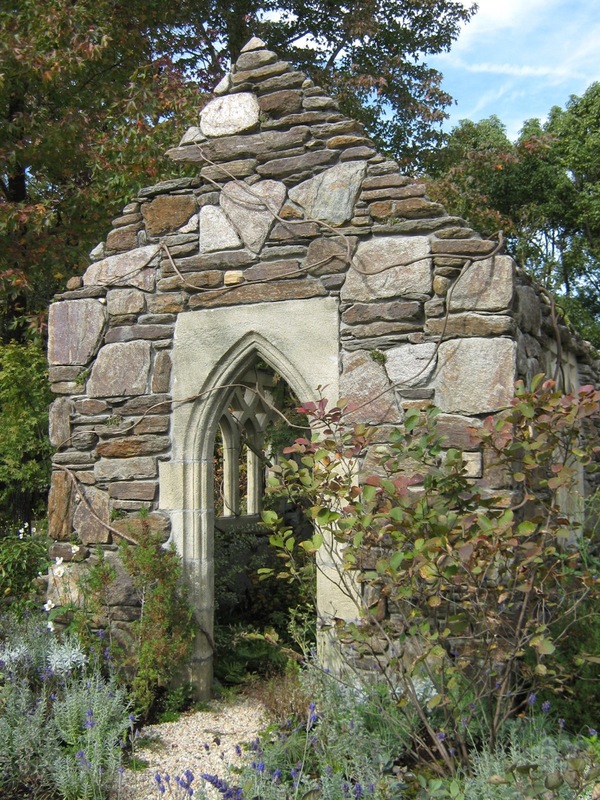 We walk down a very narrow path shaded by trees, turn a corner, and come upon this rocky clearing with its green-roofed temple hall. A very mysterious atmosphere. We're getting closer to the main hall. These monks drew my attention. 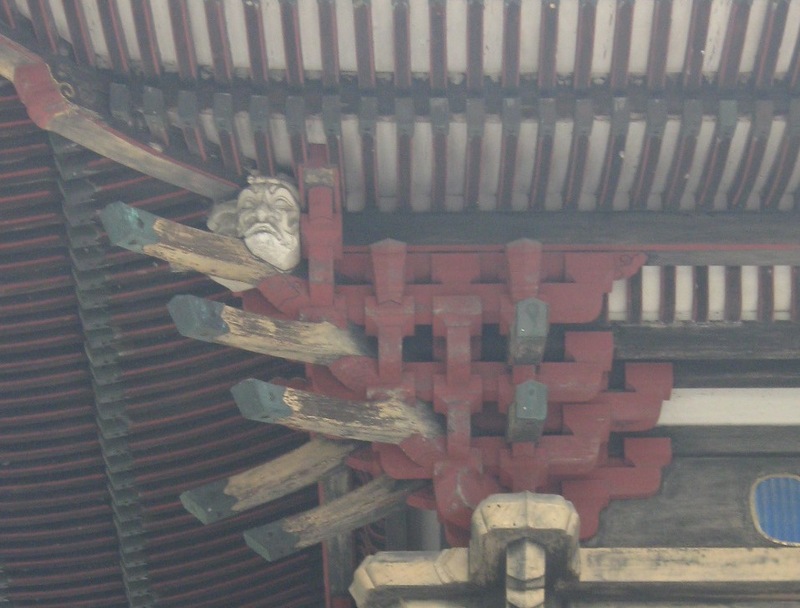 A spider chills on its web above the left monk. 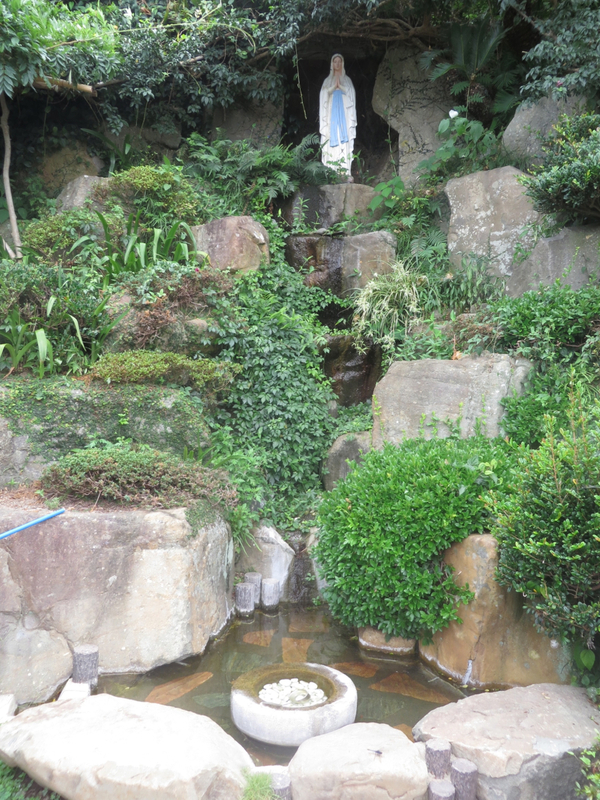 The offerings here are prayers for the souls of miscarried and aborted fetuses. 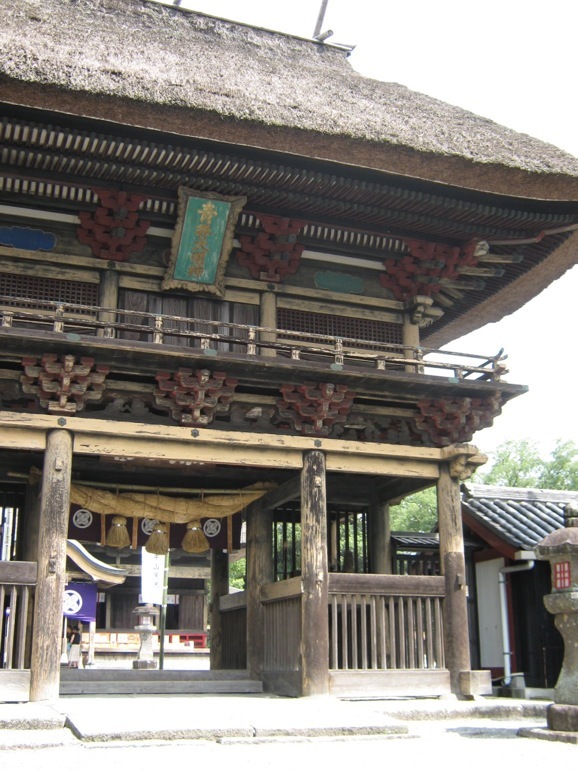 The front of the main hall of Nanzouin. Then it was time for the highlight of the temple, the bronze reclining Buddha. 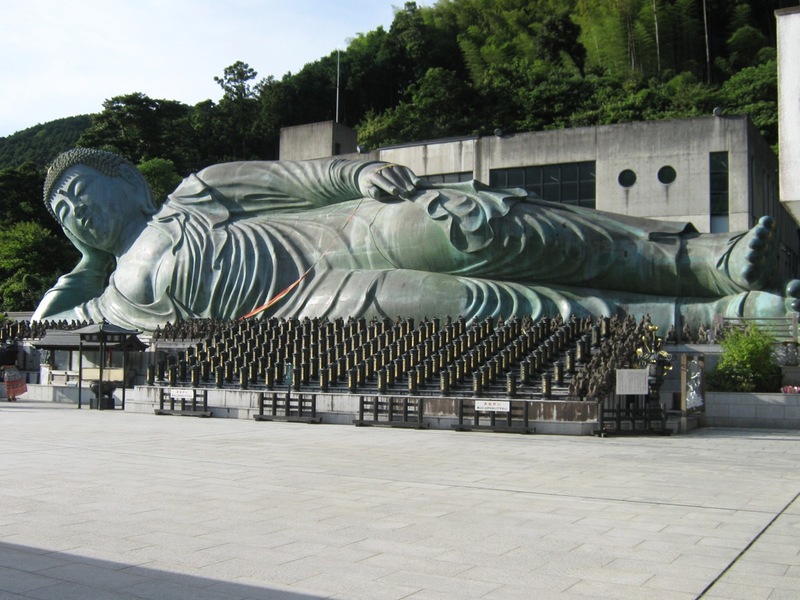 The largest bronze reclining Buddha in the world. For a sense of scale, look at the grown woman at the left edge of the photo. This sculpture is as large as the Statue of Liberty (the copper portion). 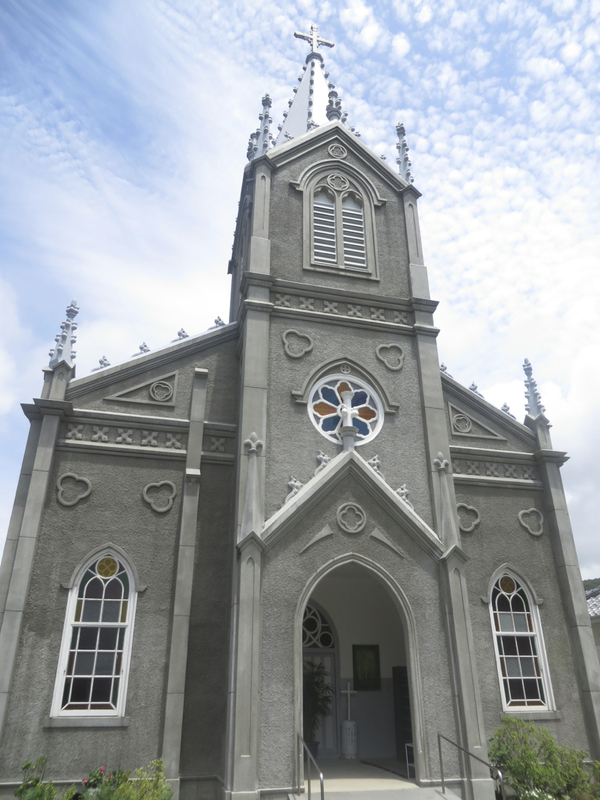 According to the temple’s website linked above, this sculpture was built to house the ashes of a Buddha and two disciples that were donated by a Buddhist society in Myanmar (Burma) as a thank-you for years of donations made by Nanzouin to the poor in Myanmar and Nepal. 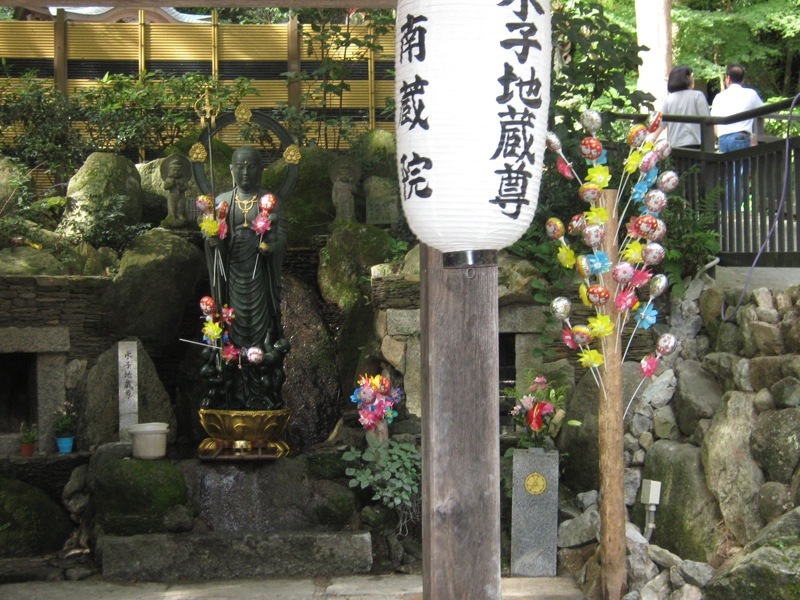 The canisters in front of the Buddha contain sand from the grounds of each of the 88 temples of both Shikoku and Sasagurimachi. That’s pretty much it. 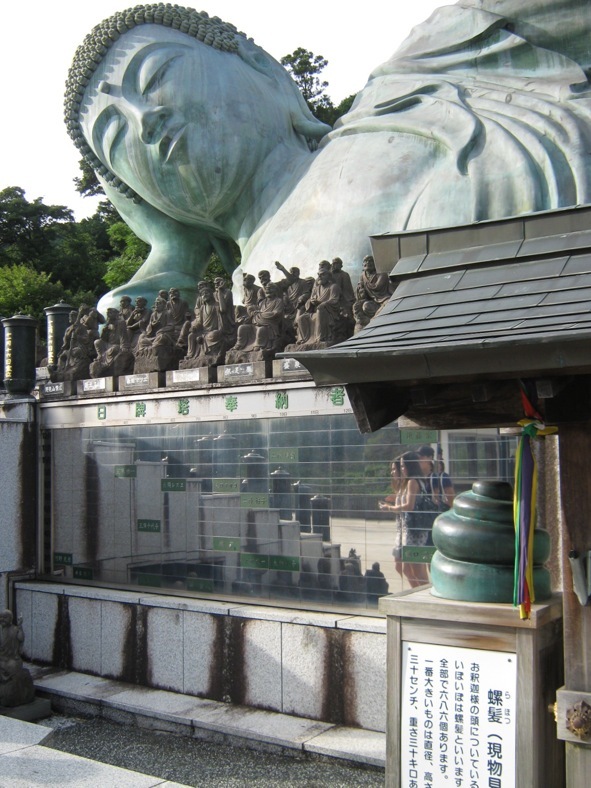 If you want to visit the Reclining Buddha, it’s very simple: from Hakata Station, get on the Sasaguri Line (AKA Fukuhoku Yutaka Line) and get off at Kido Nanzouin-mae. 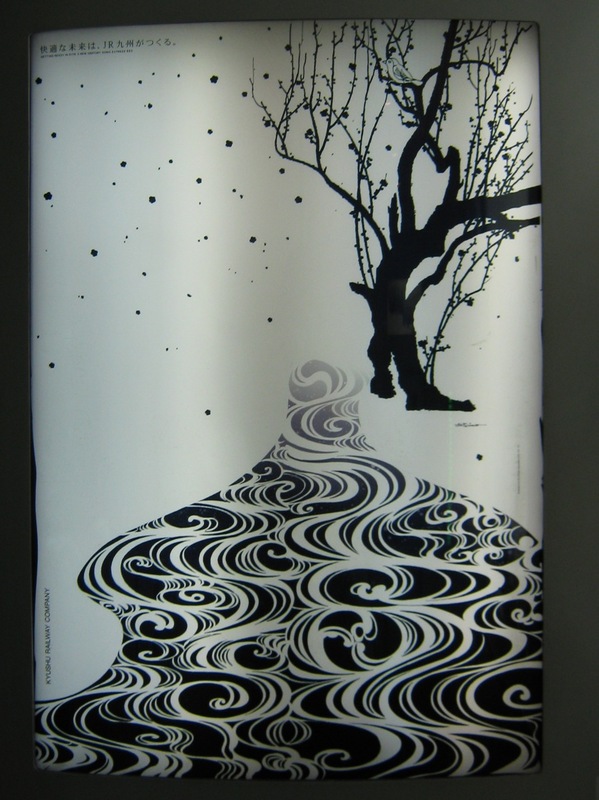 When you exit the station you’ll see the top of Buddha’s head peaking out from some trees.